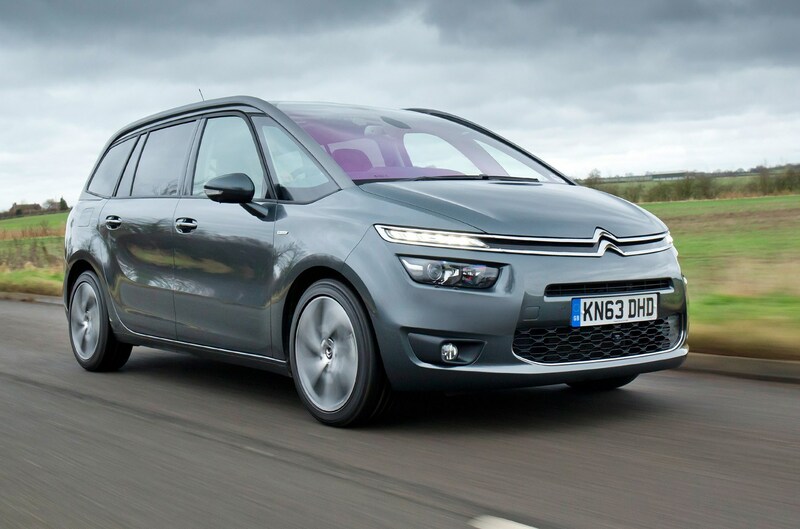 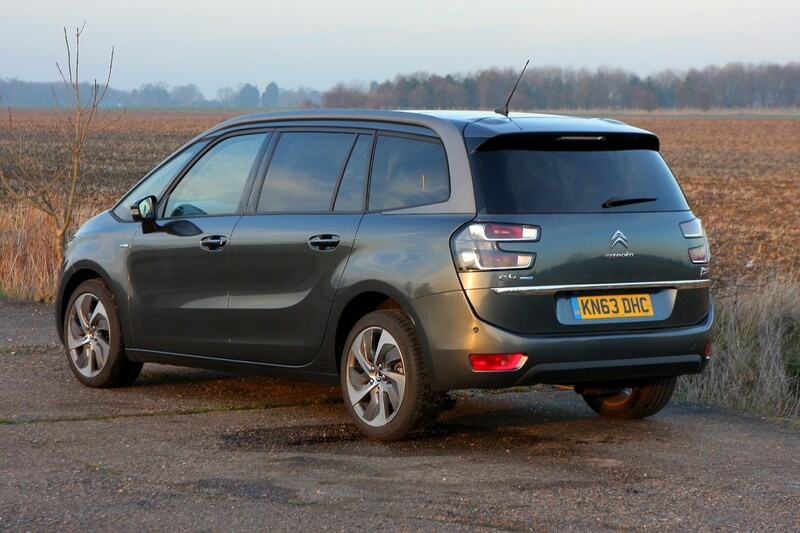 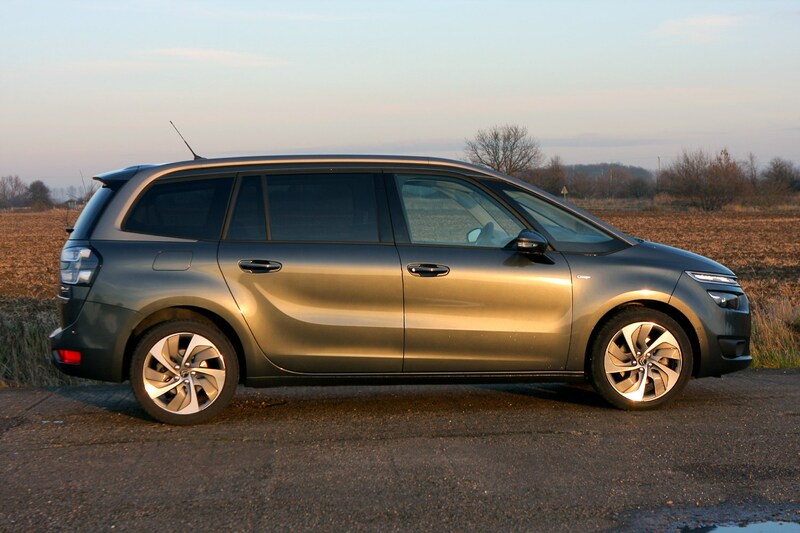 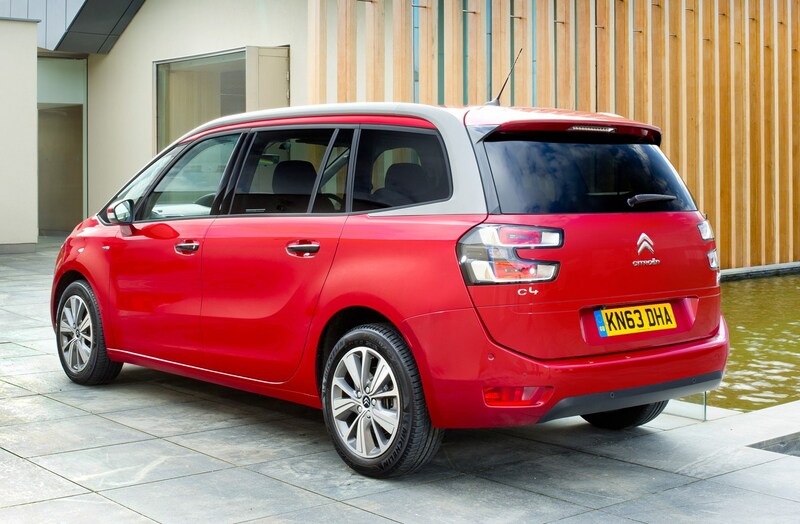 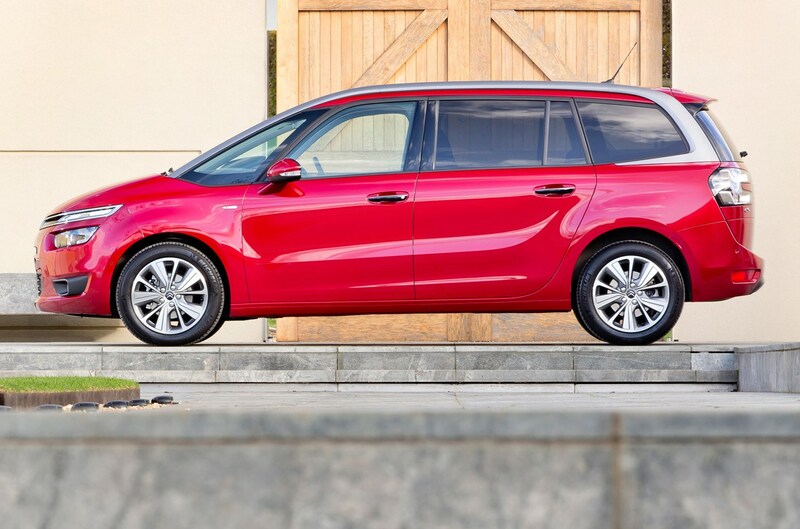 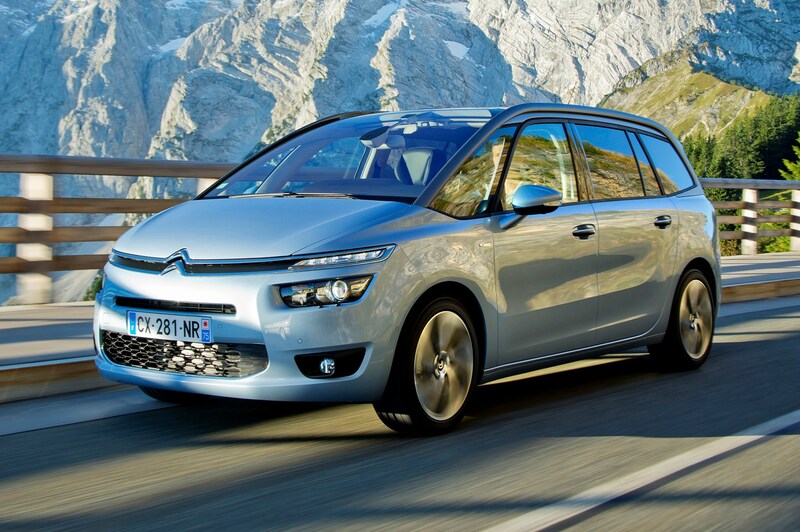 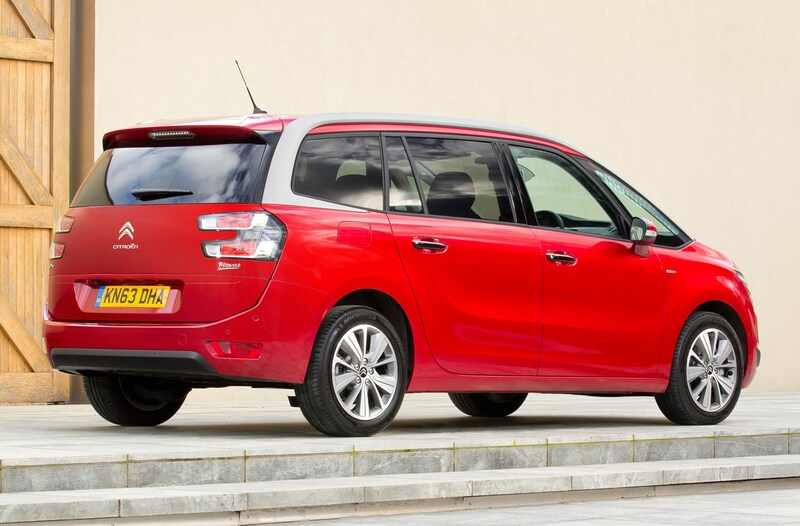 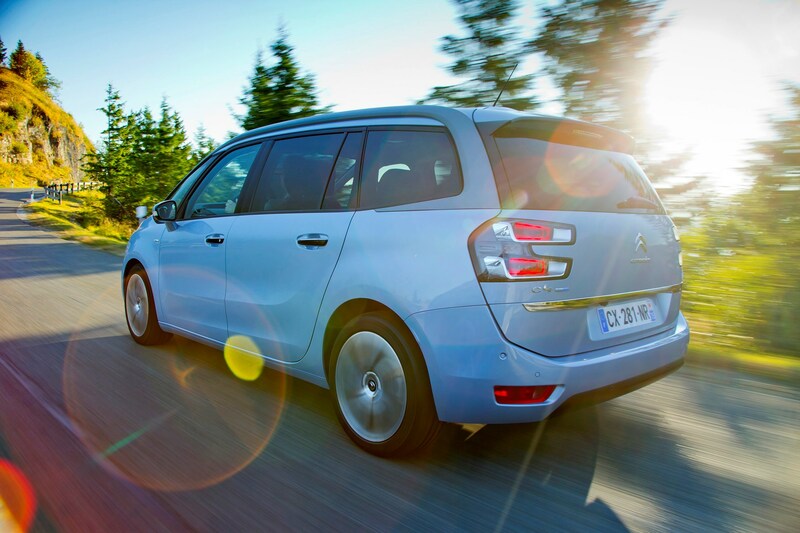 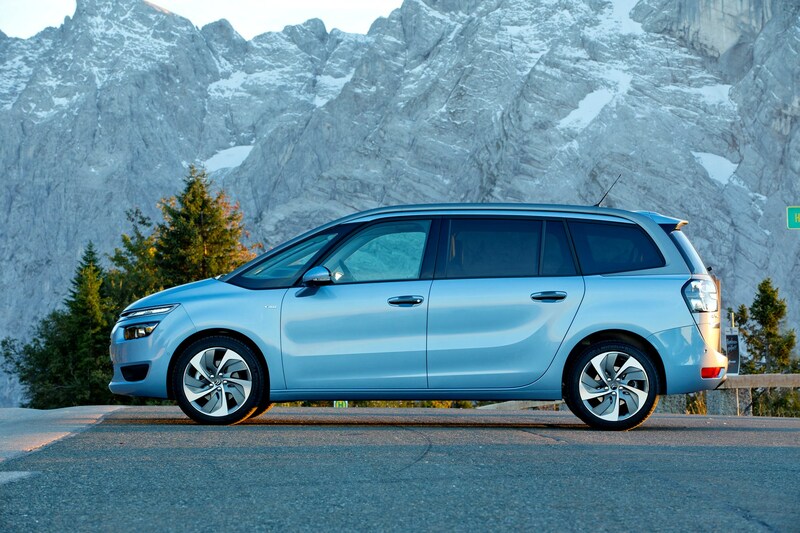 Like its five-seater sibling, the latest Citroen Grand C4 Picasso is a distinctive entrant in the people carrier market. 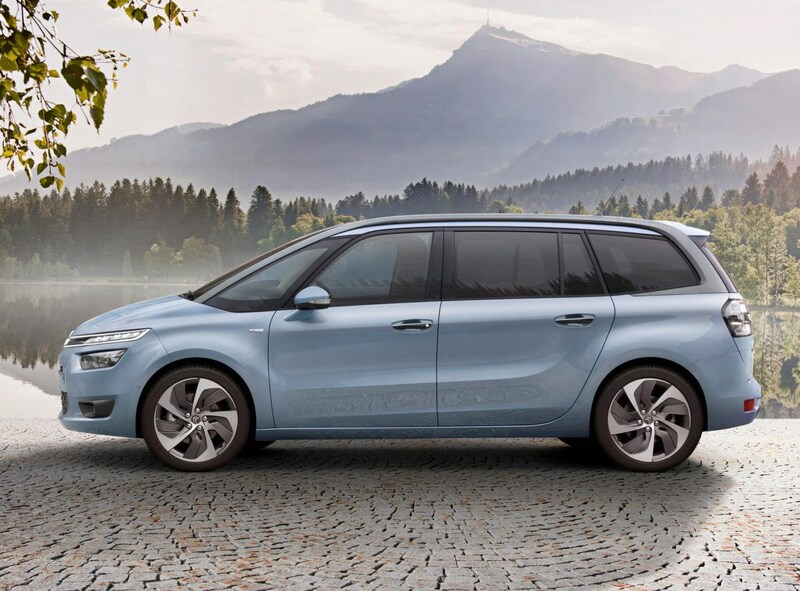 Still with seven seats, the Grand follows the C4 Picasso styling themes with a concept car-like front design, but with added distinguishing features like a contrasting ‘frame’ around the side windows and horseshoe-shaped tail lights. 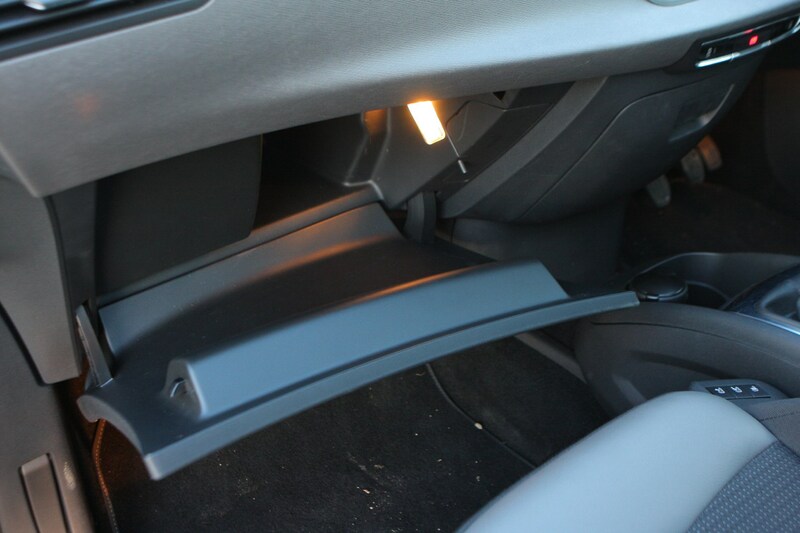 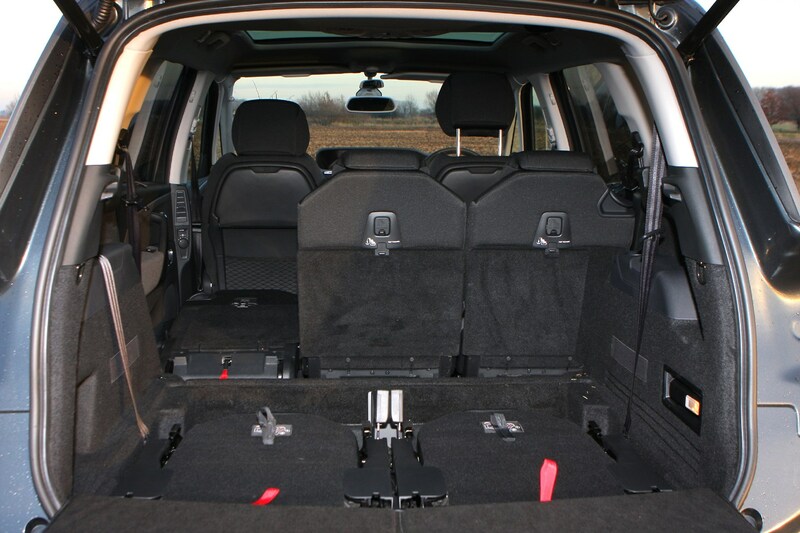 Using a different underbody compared to the outgoing model, more interior space is liberated by stretching out the space in between the wheels to 2.84m. 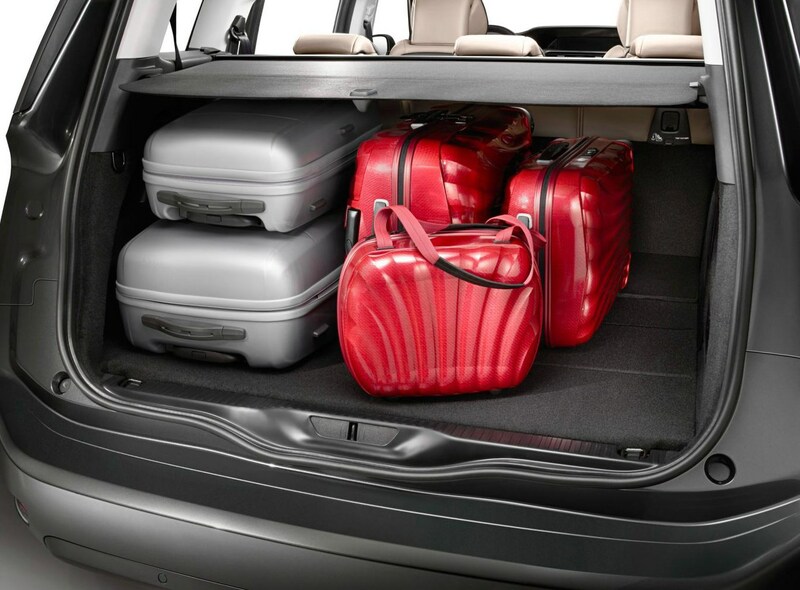 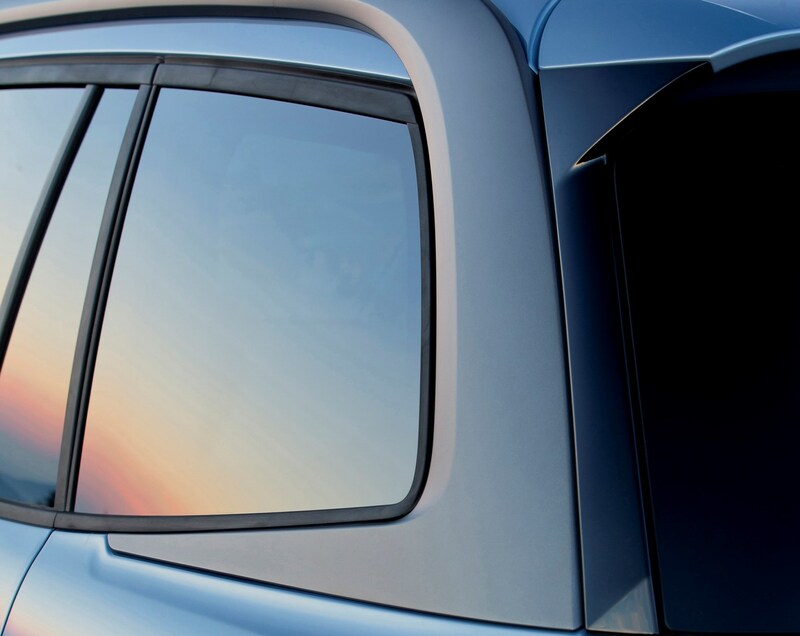 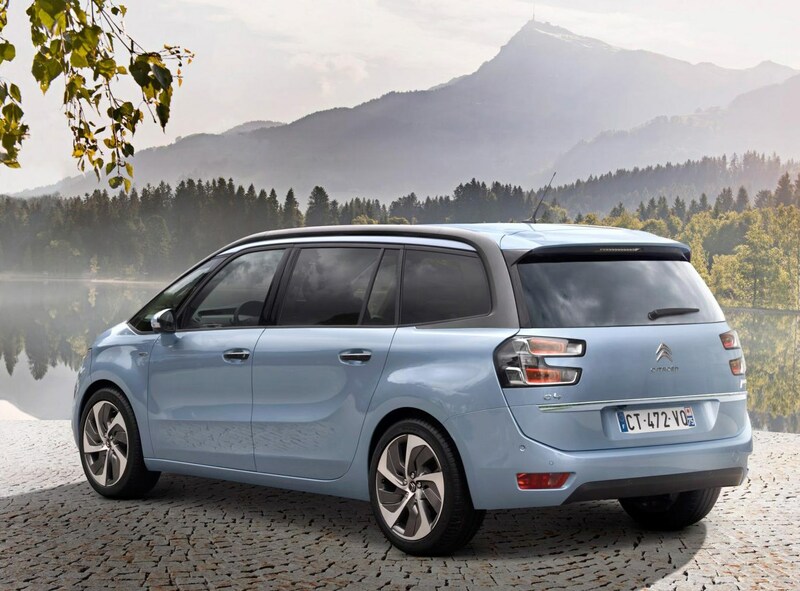 Not only is it 11cm longer than the previous generation, it’s 5.5cm more than the five-seat C4 Picasso, so you secure room for two more seats or a bigger boot. 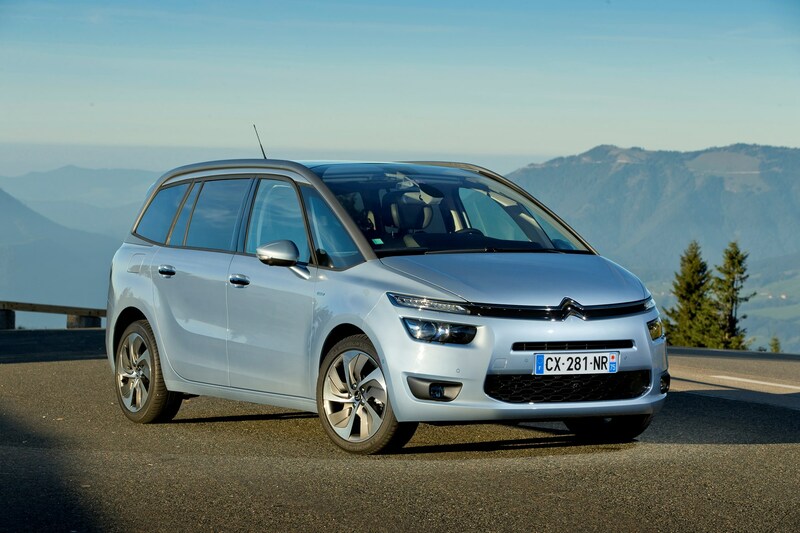 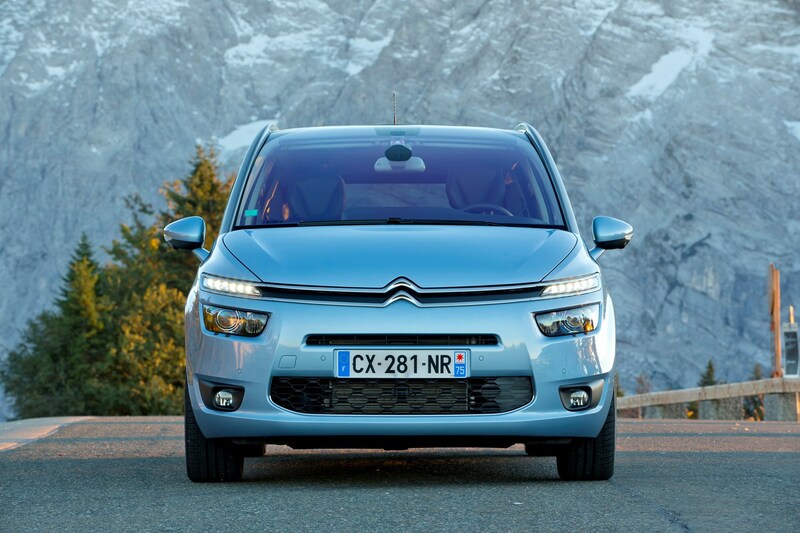 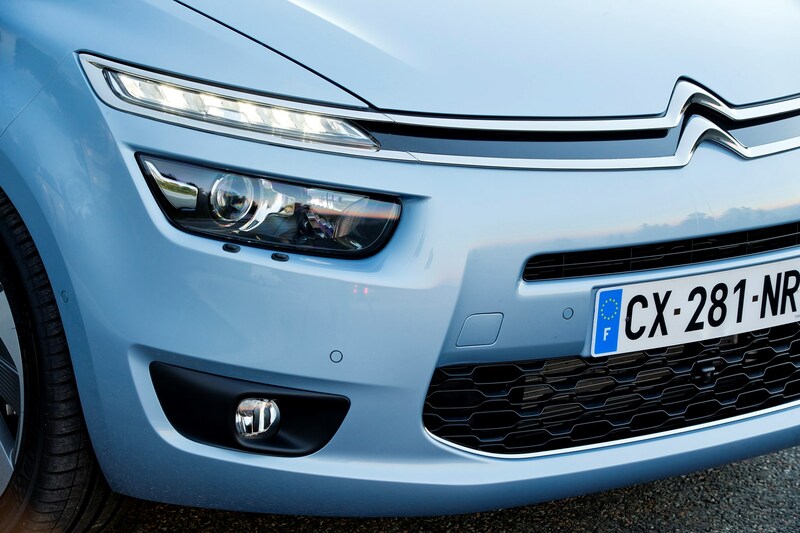 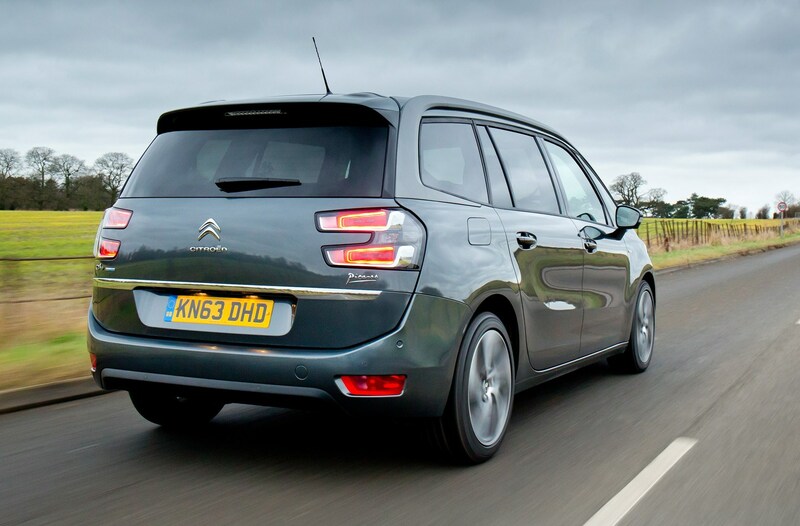 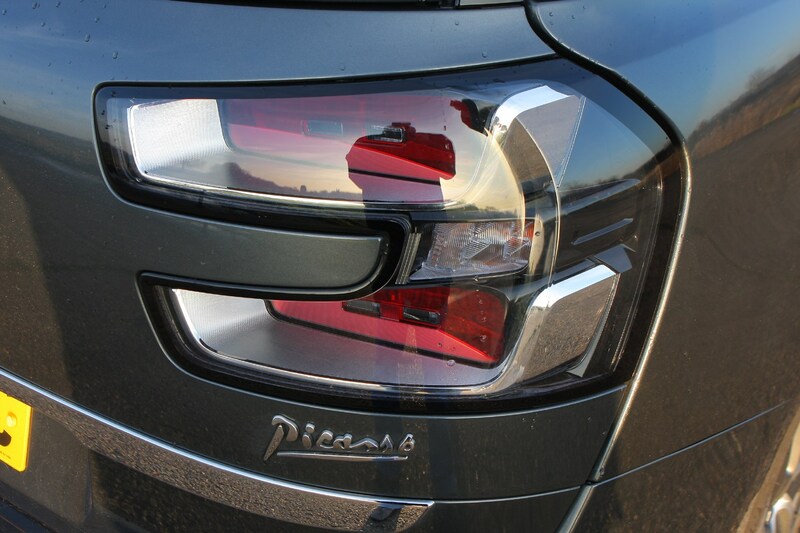 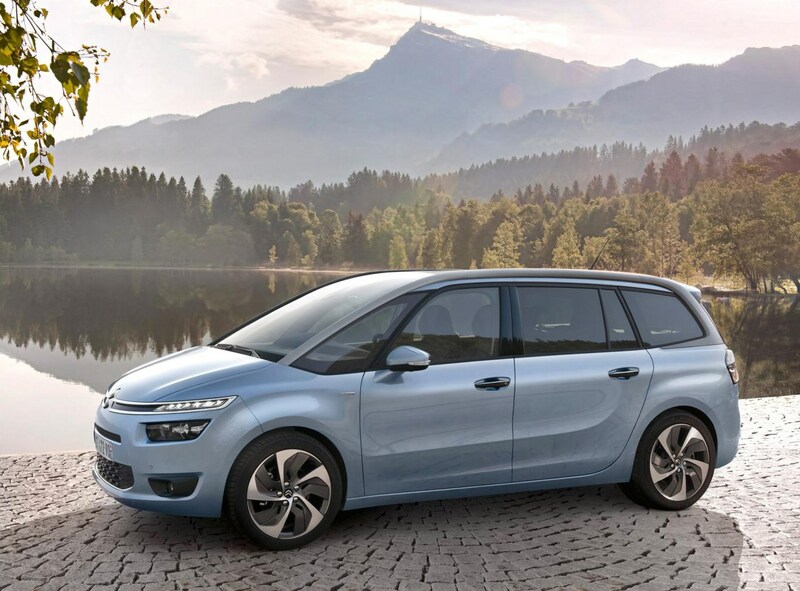 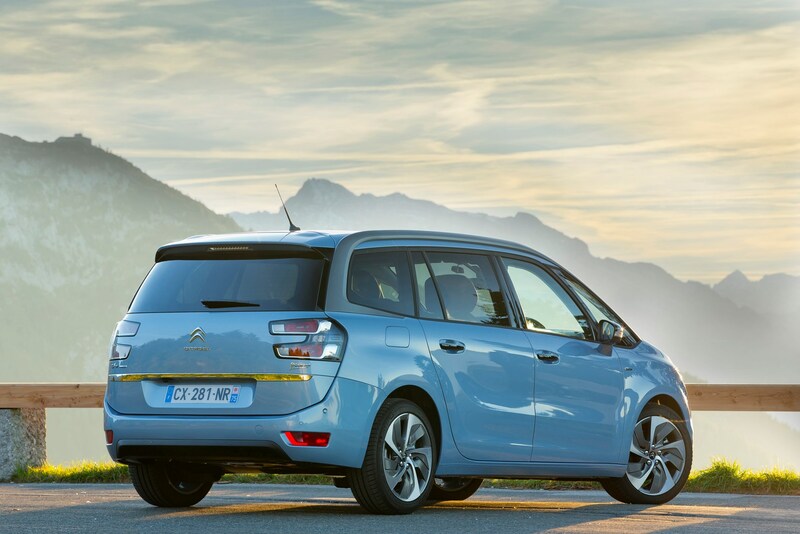 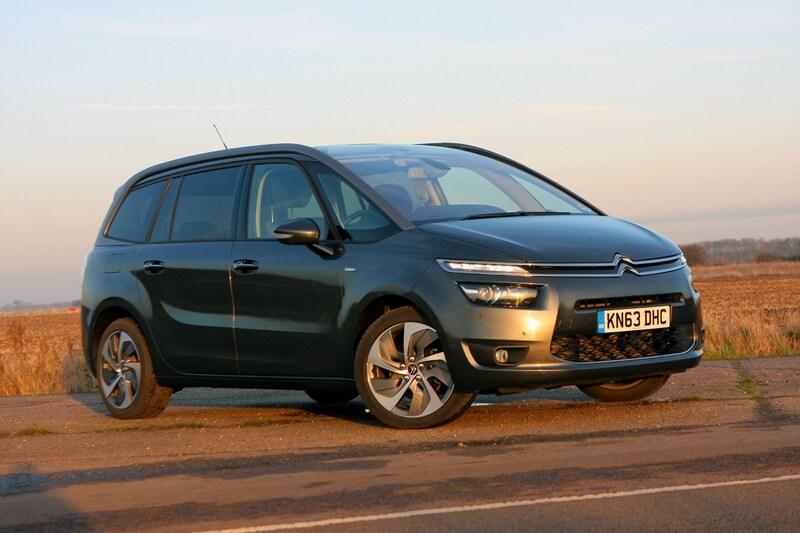 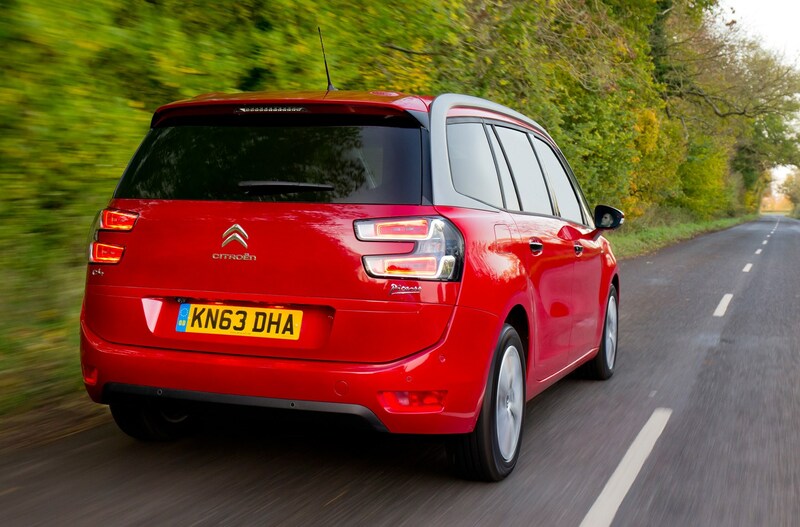 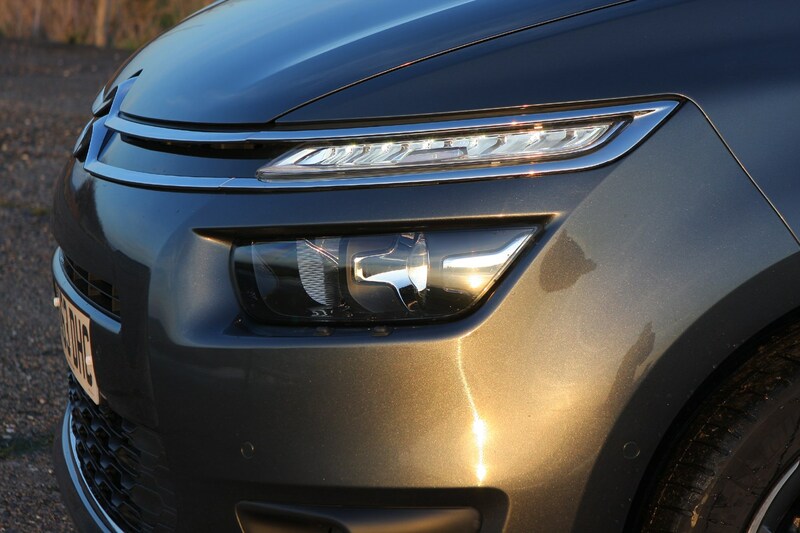 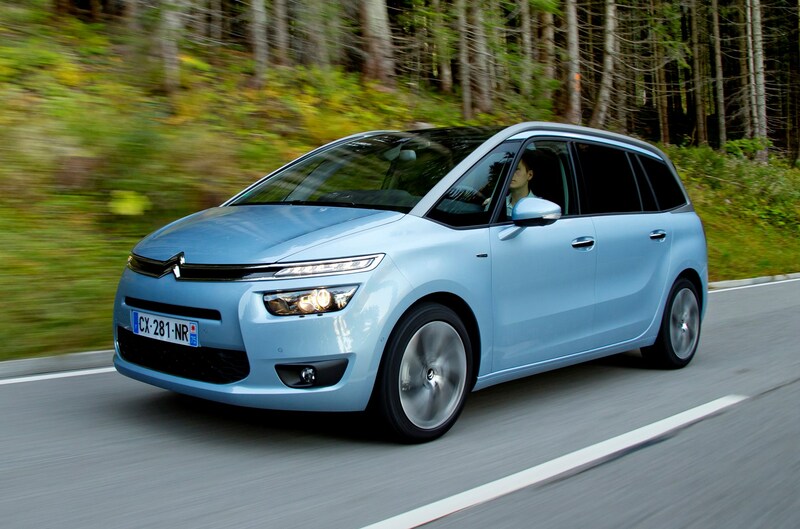 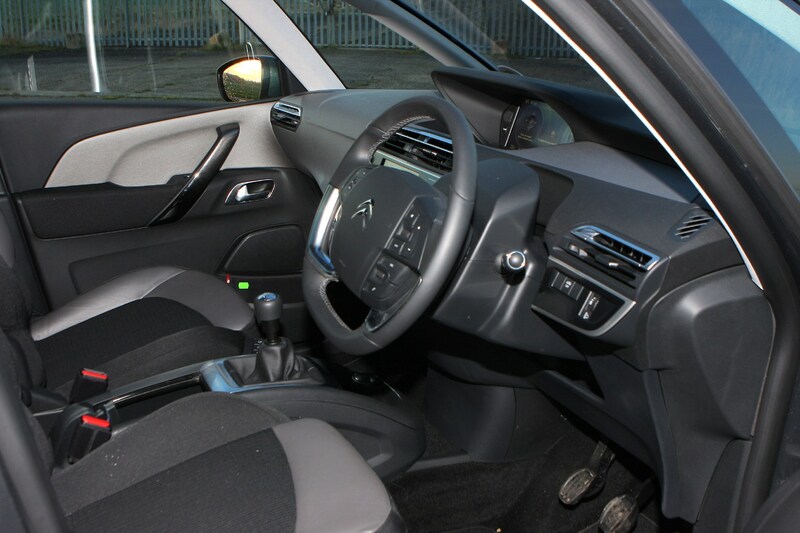 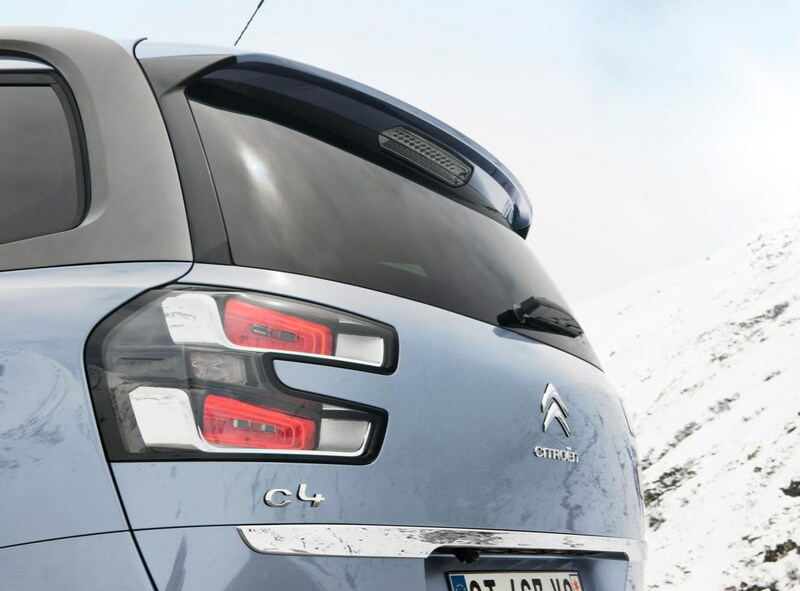 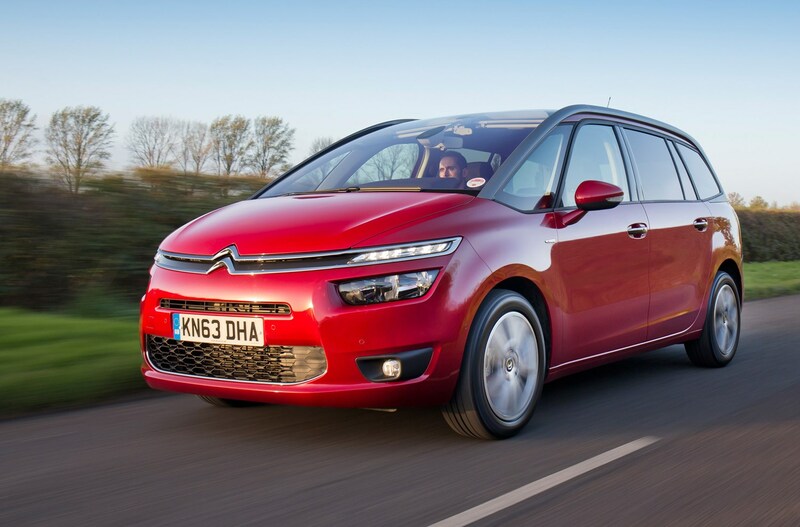 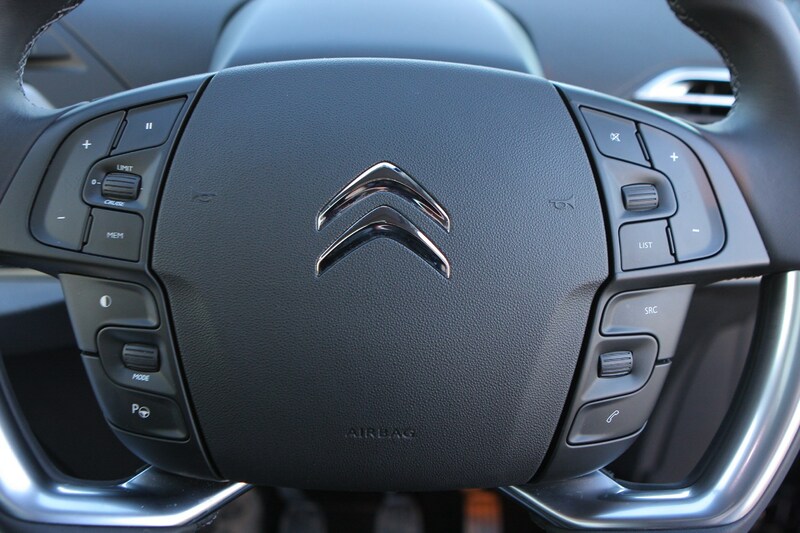 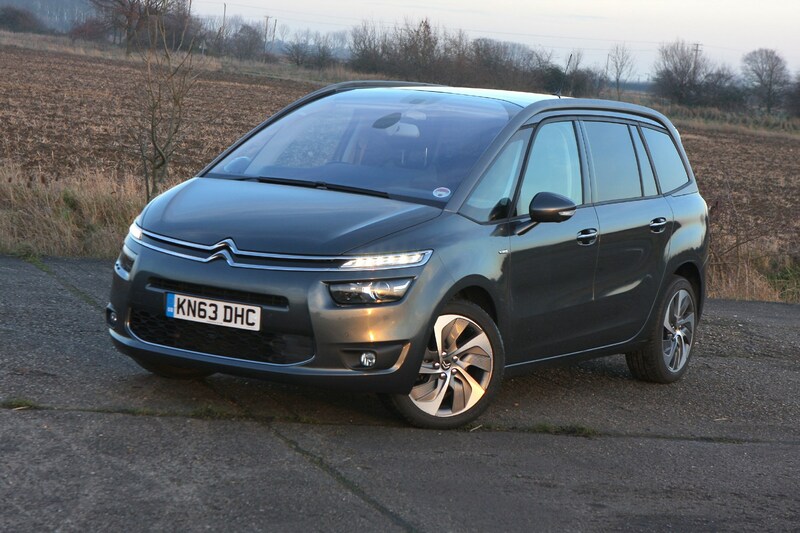 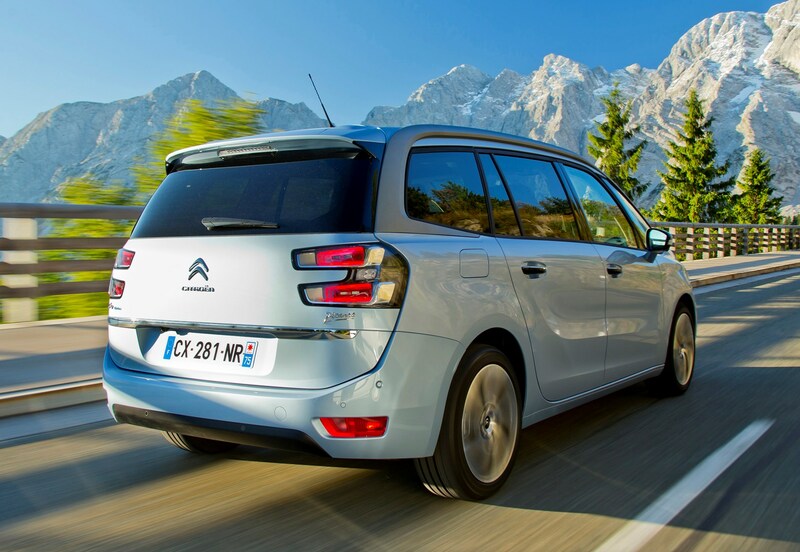 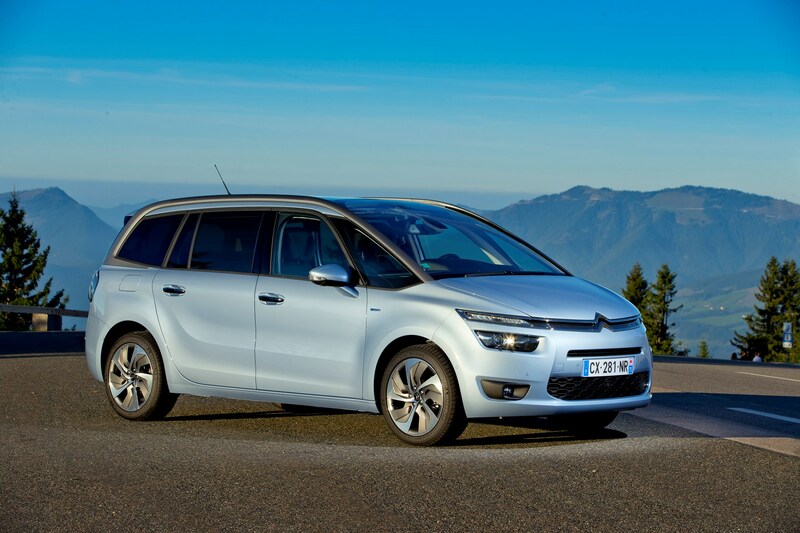 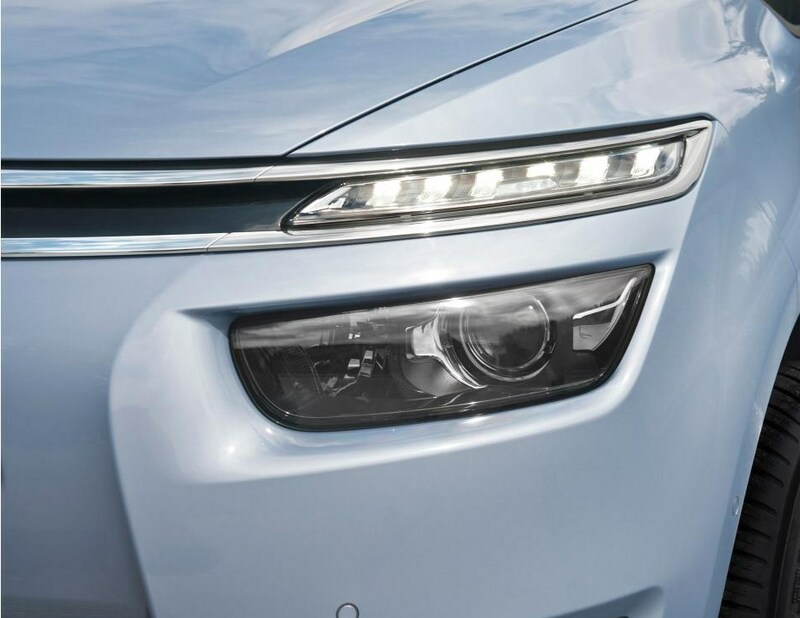 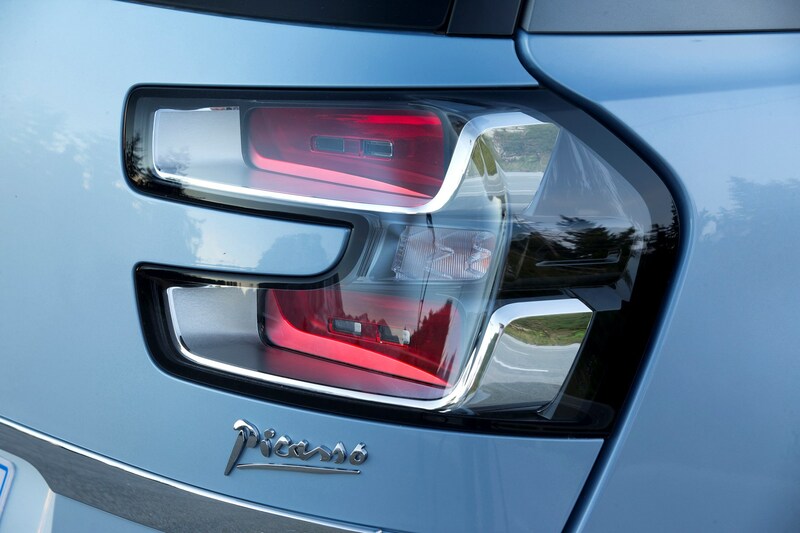 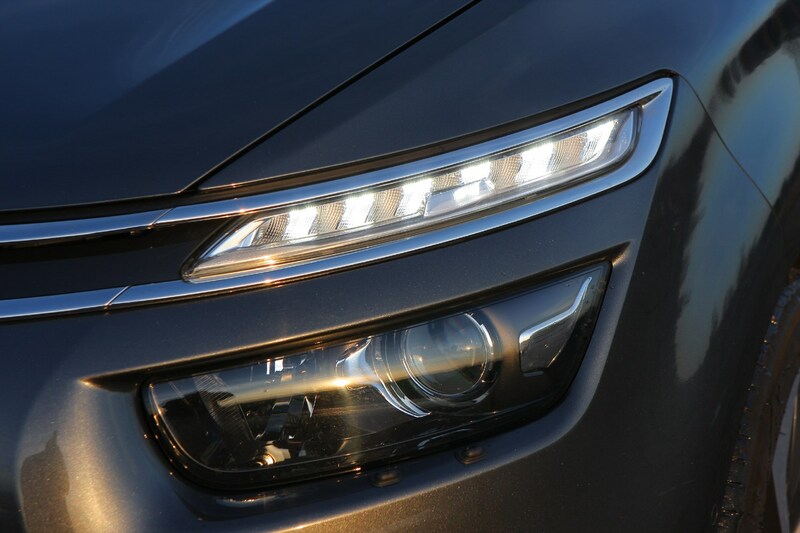 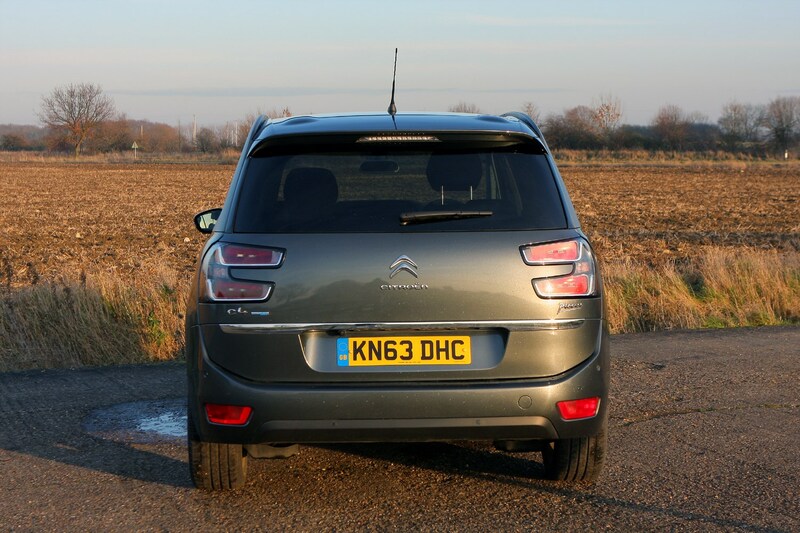 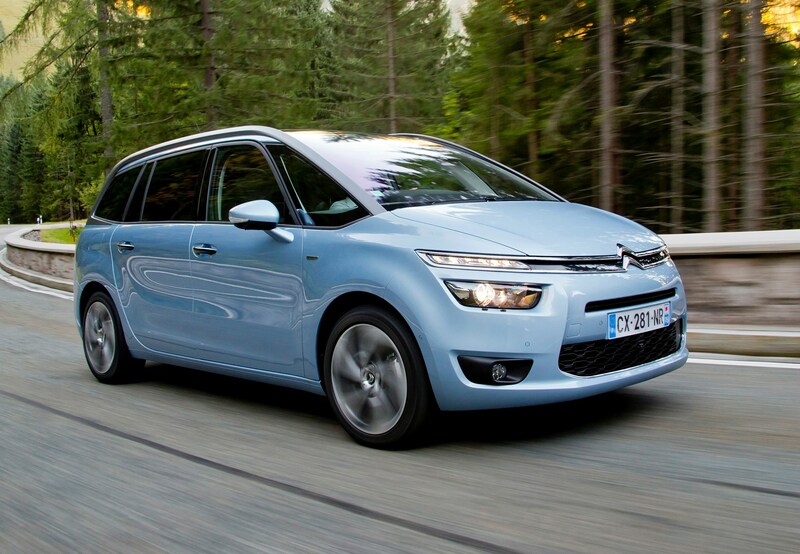 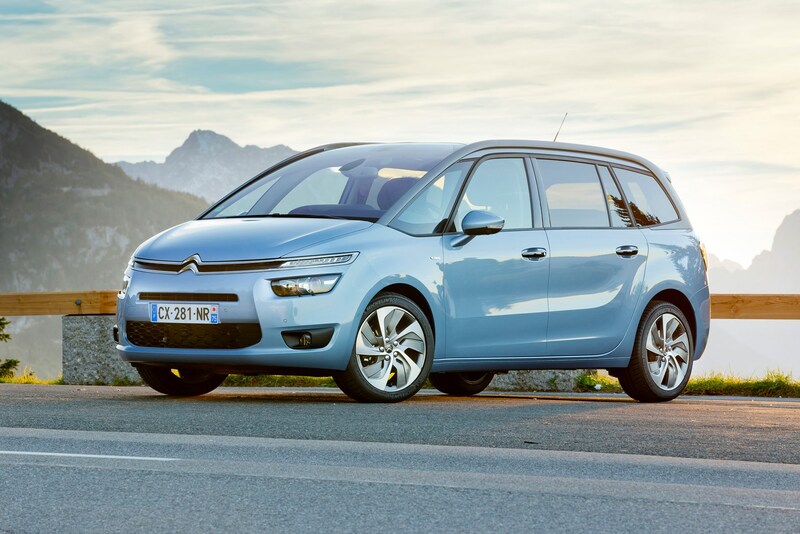 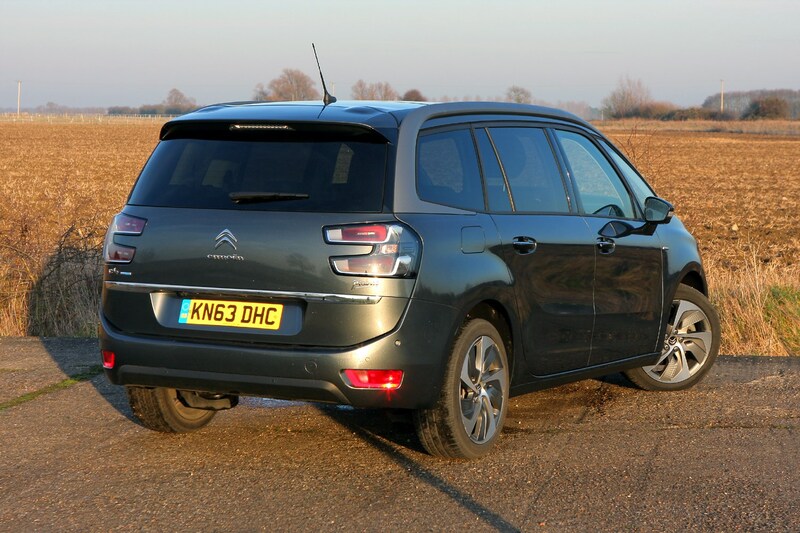 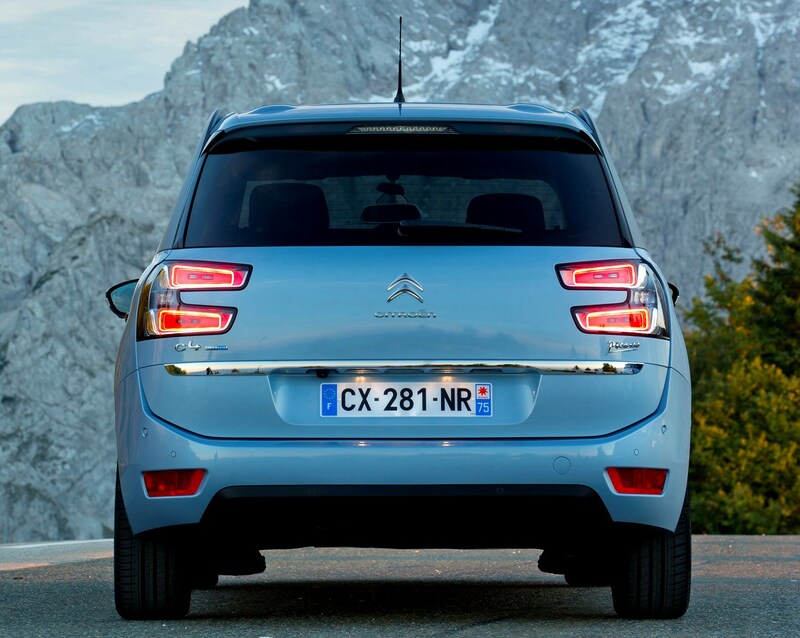 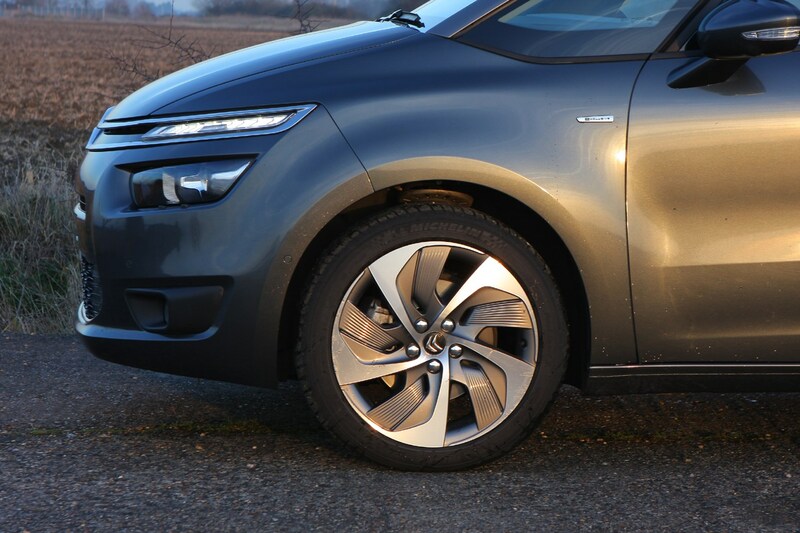 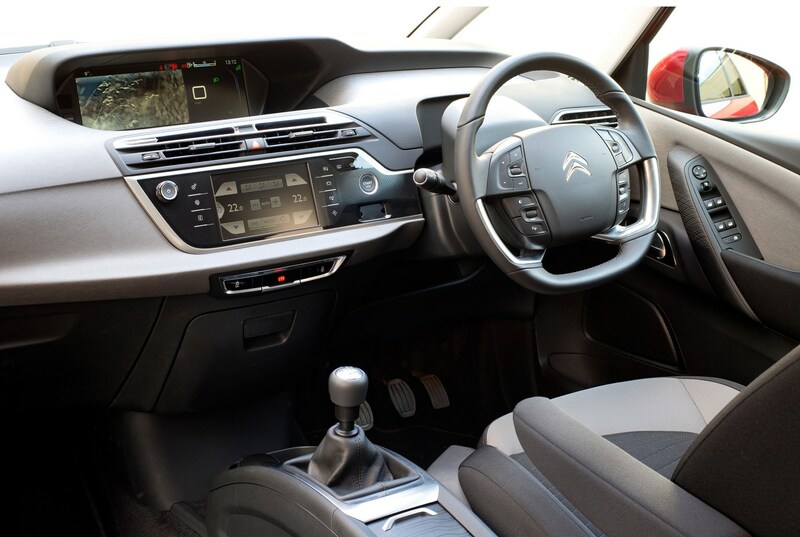 With the previous generation Grand C4 Picasso being such a popular model, Citroen has livened up the recipe by making the new model better to drive and even more practical than before. 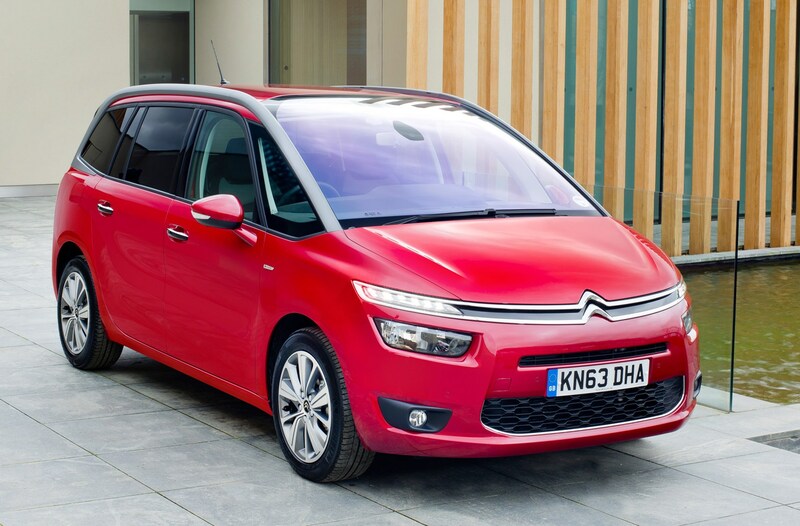 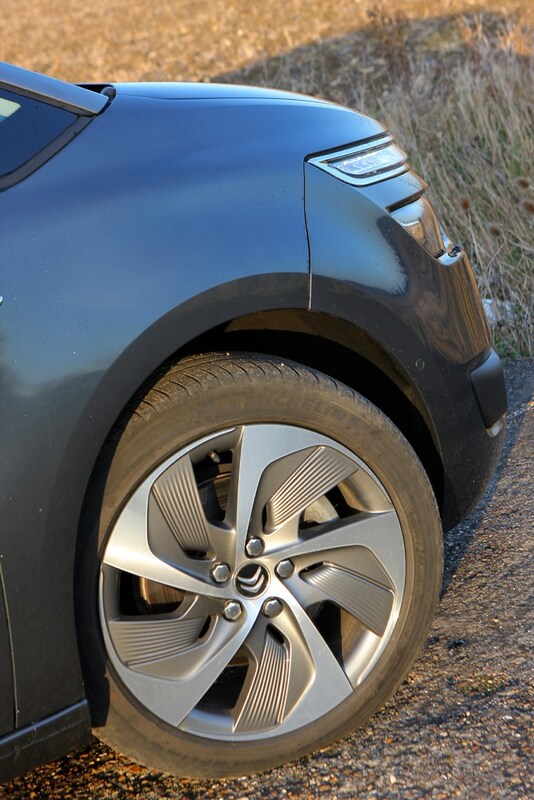 Although the new Grand C4 Picasso is the same overall length as the outgoing car, the increased gap between front and rear wheels has liberated extra space for all three rows of seats and the boot. 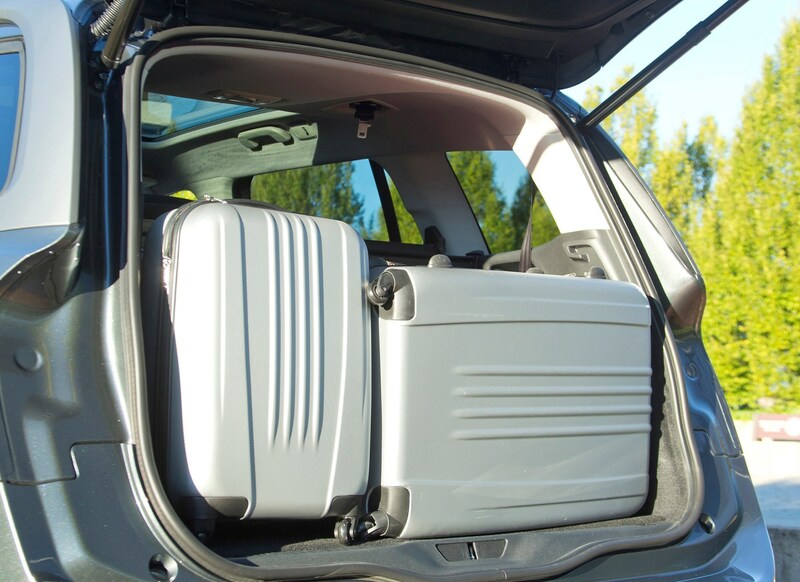 The cargo bay is up to 200 litres larger than before, although in seven-seat mode it’s only really big enough for a couple of soft overnight bags. 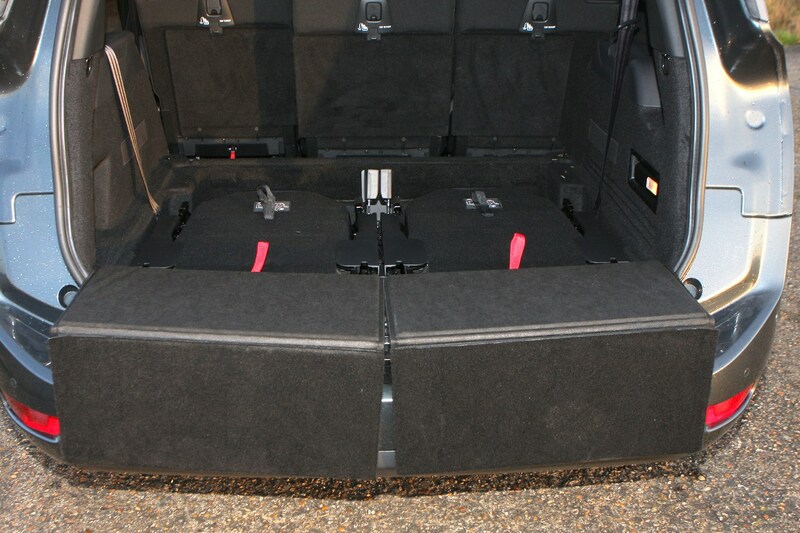 Throughout the interior are neatly integrated cubbies and storage areas that are sensibly-sized to hold things families tend to take with them on the move - like portable games consoles and tablet computers. 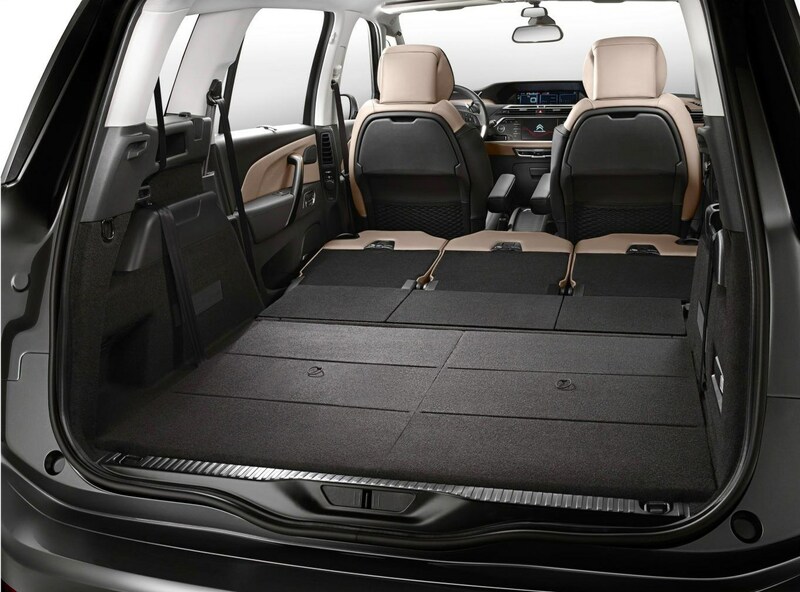 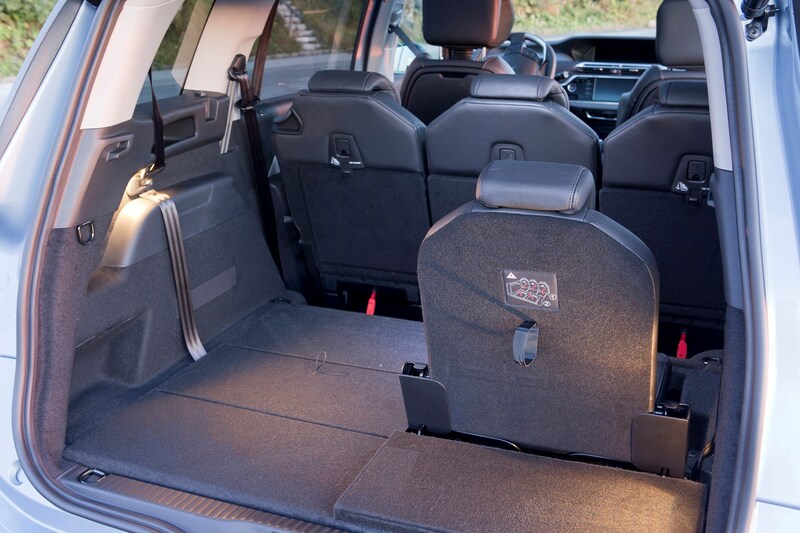 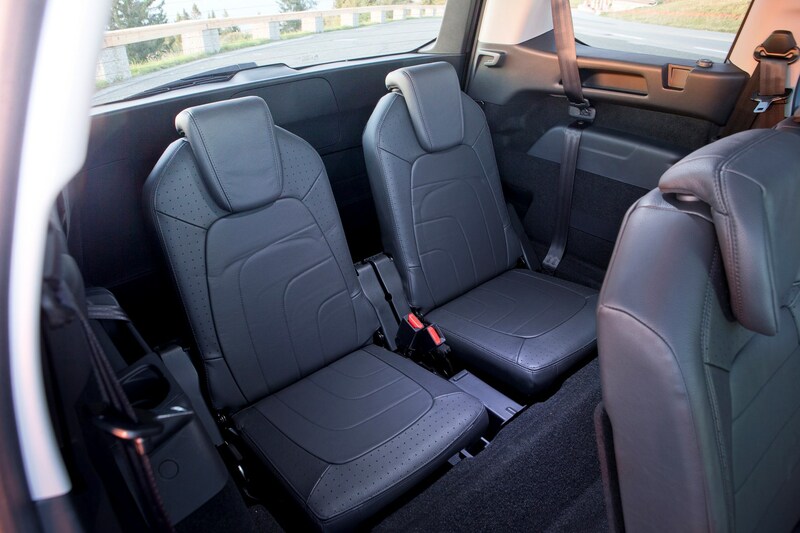 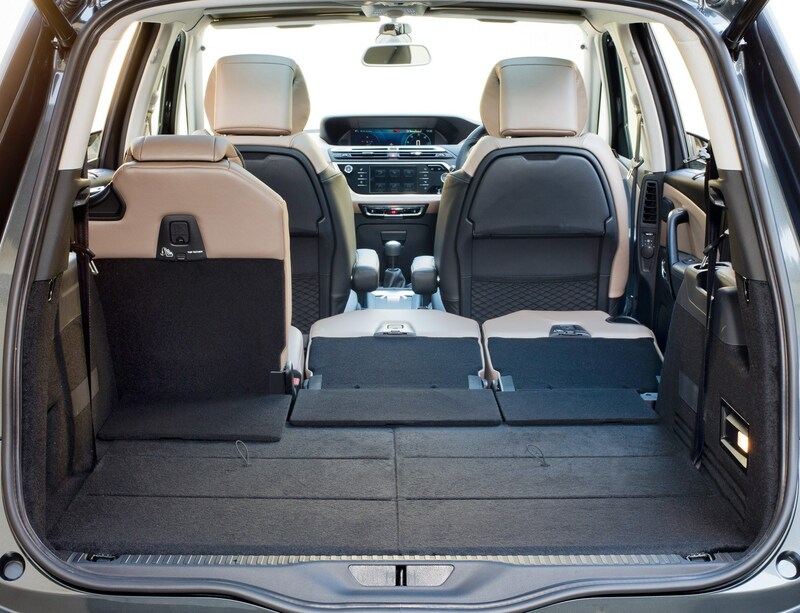 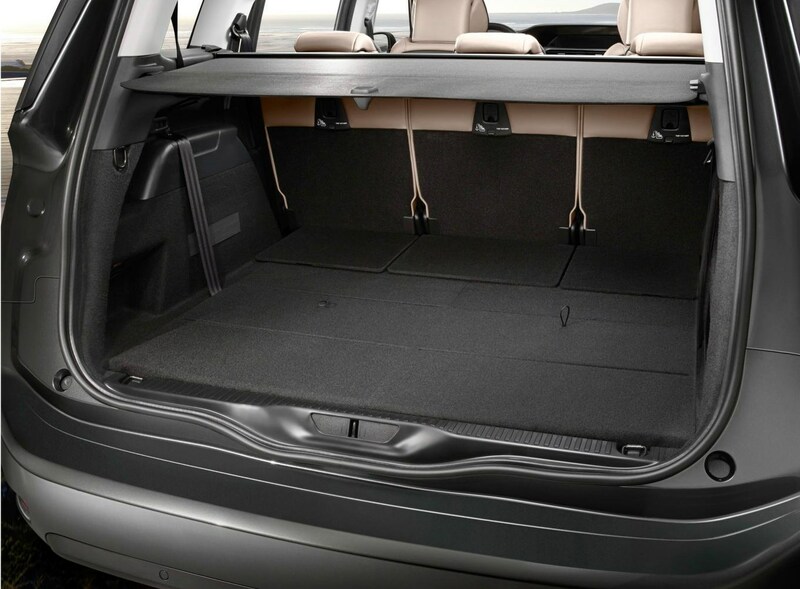 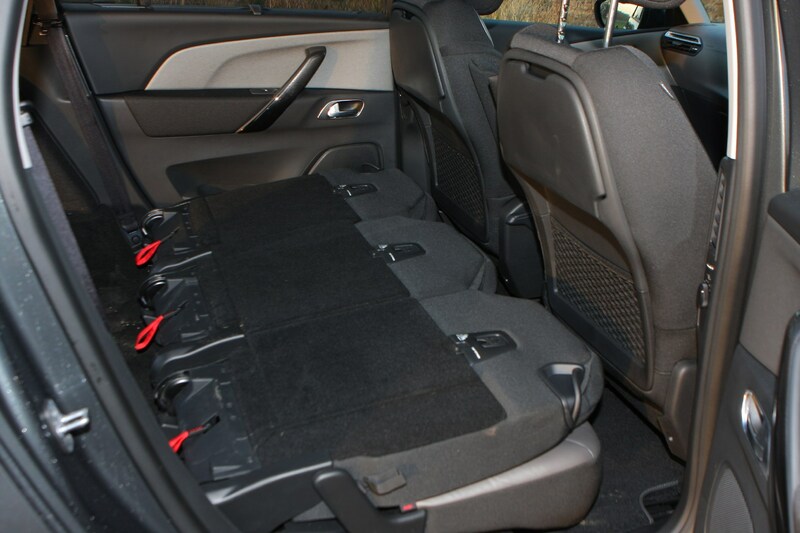 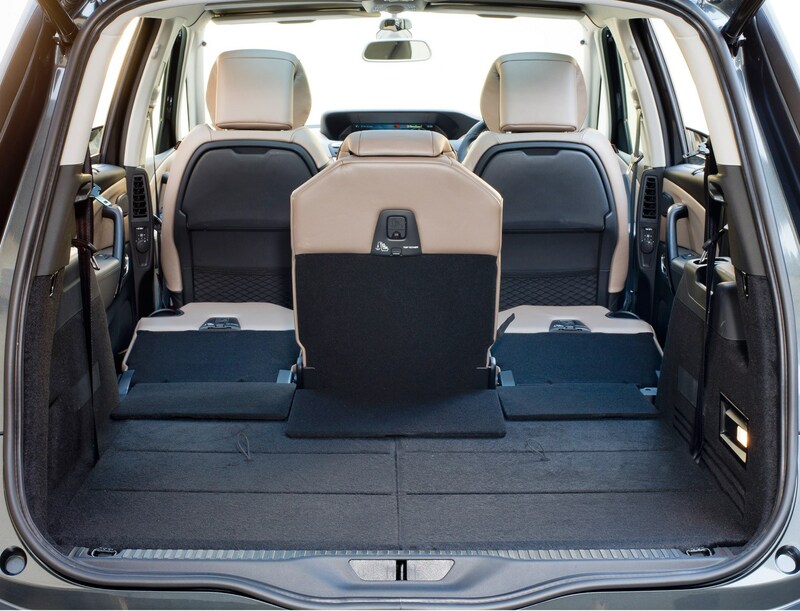 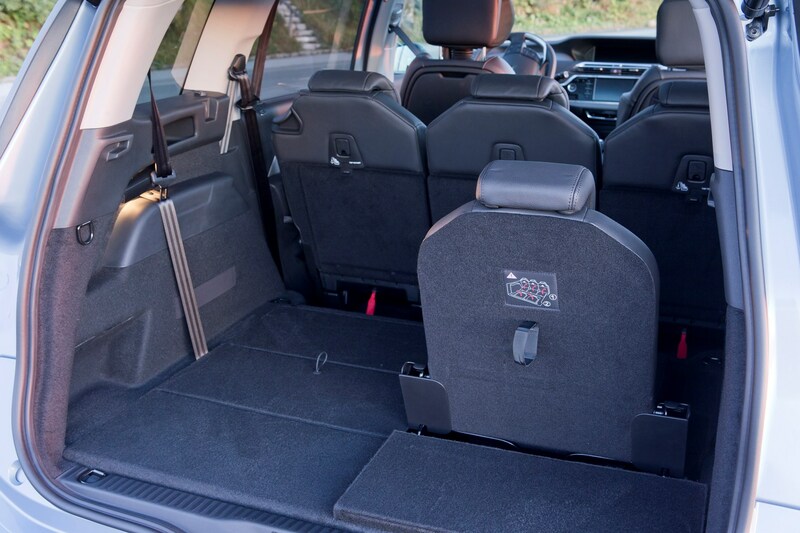 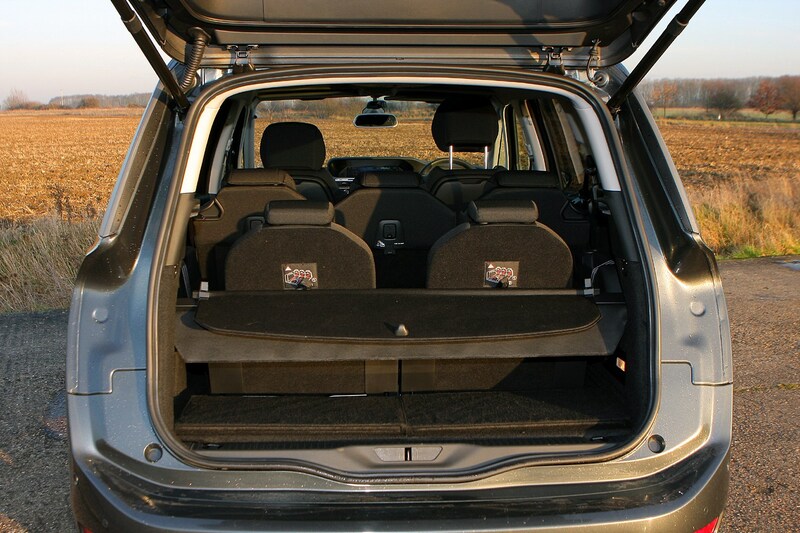 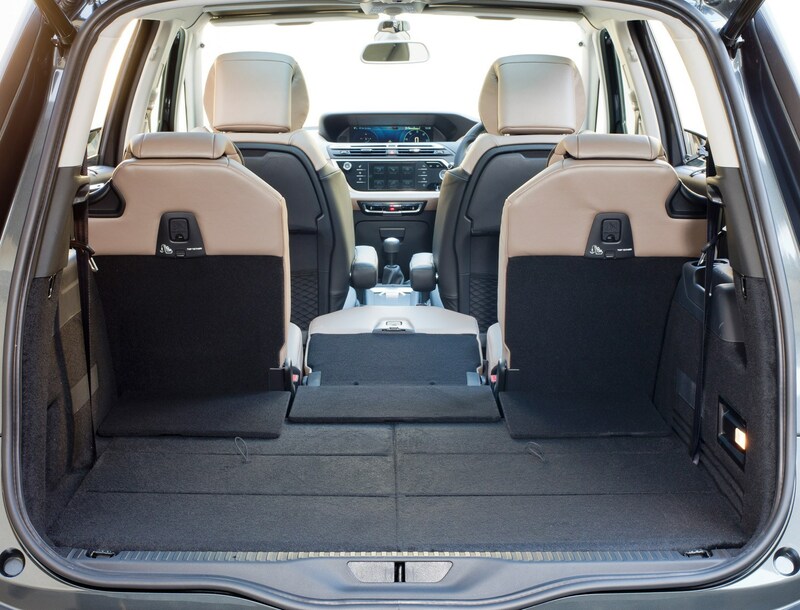 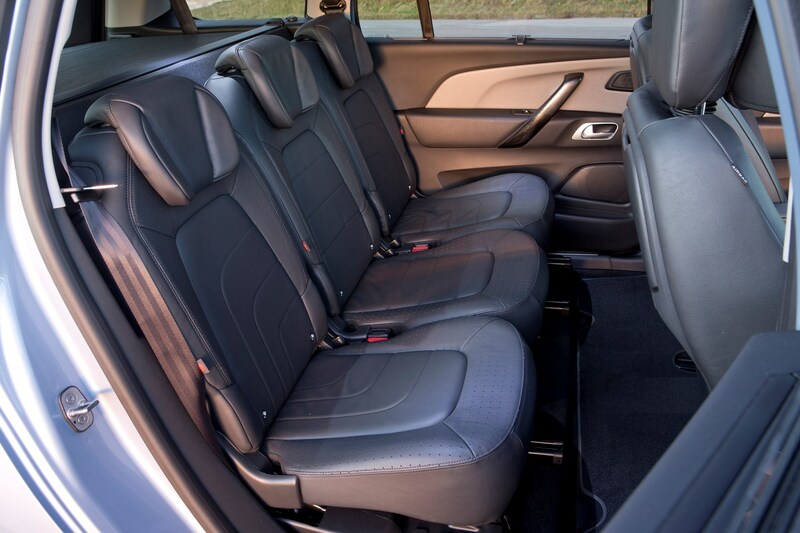 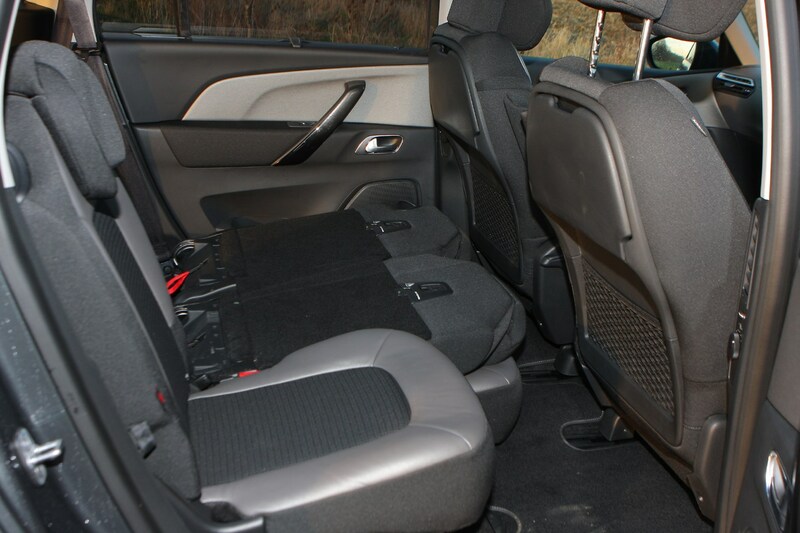 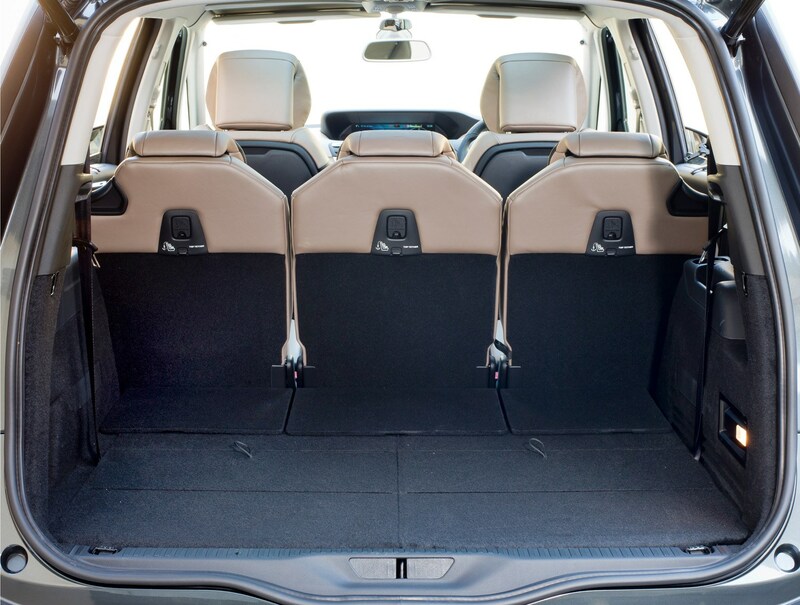 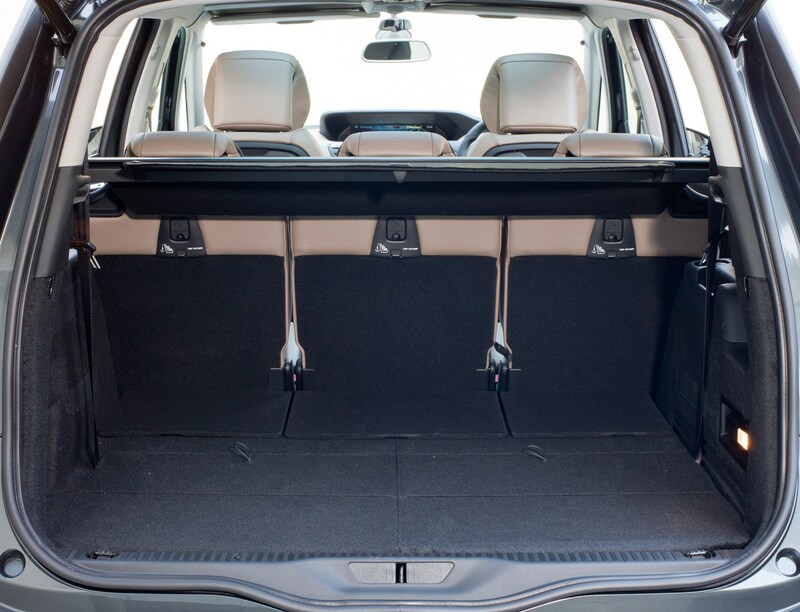 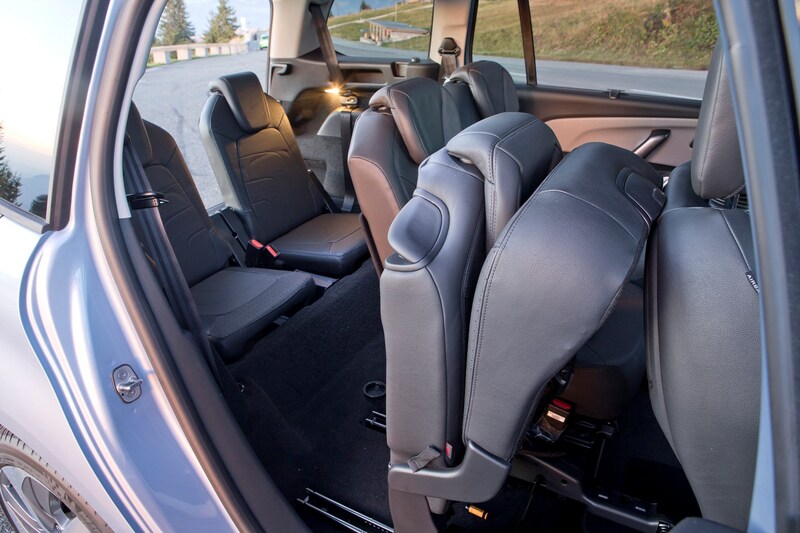 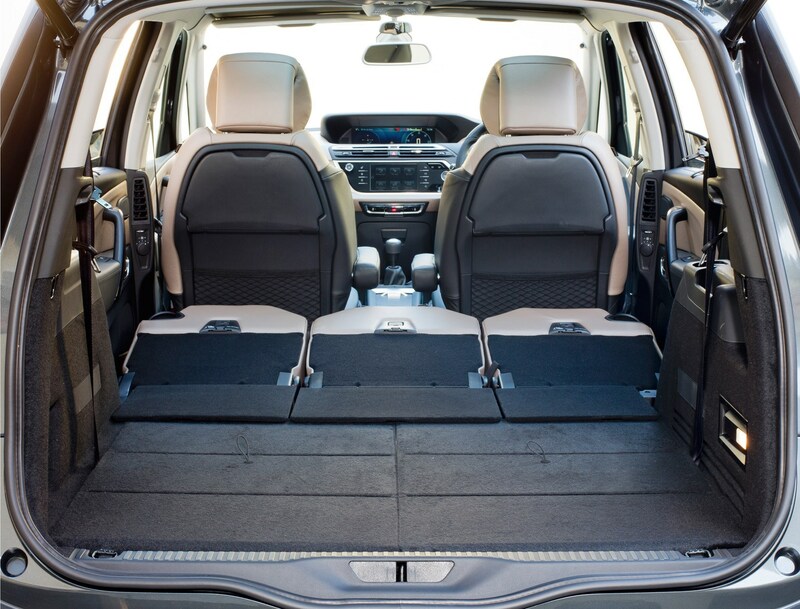 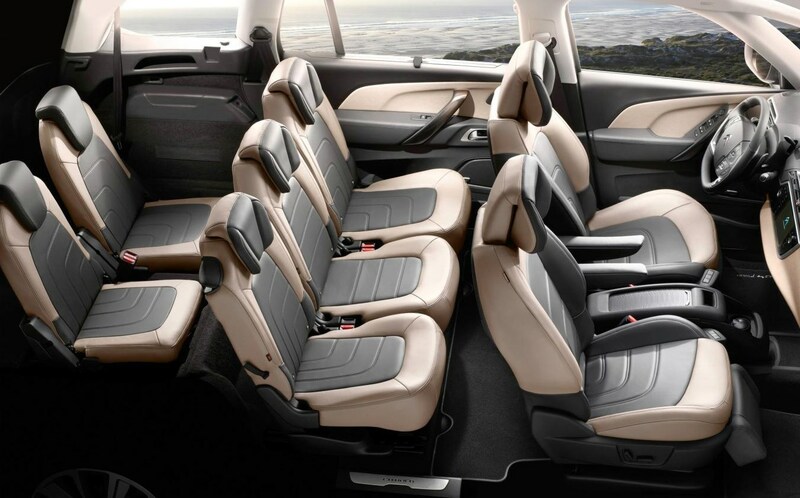 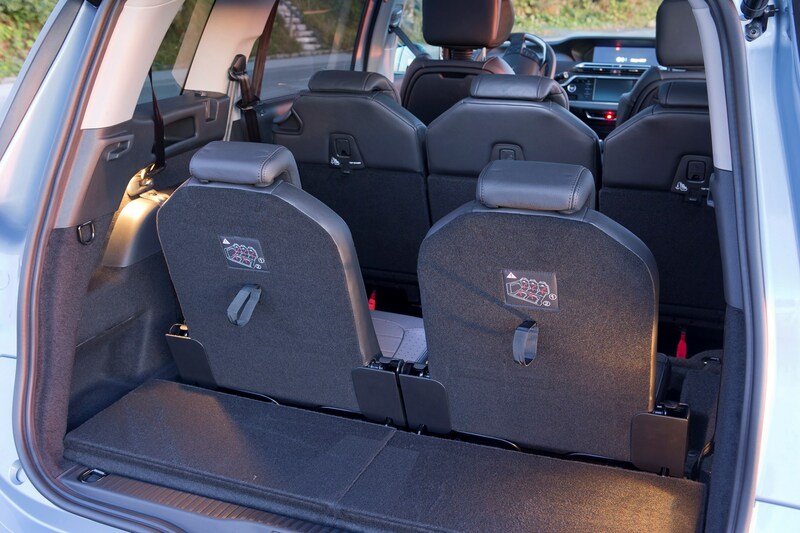 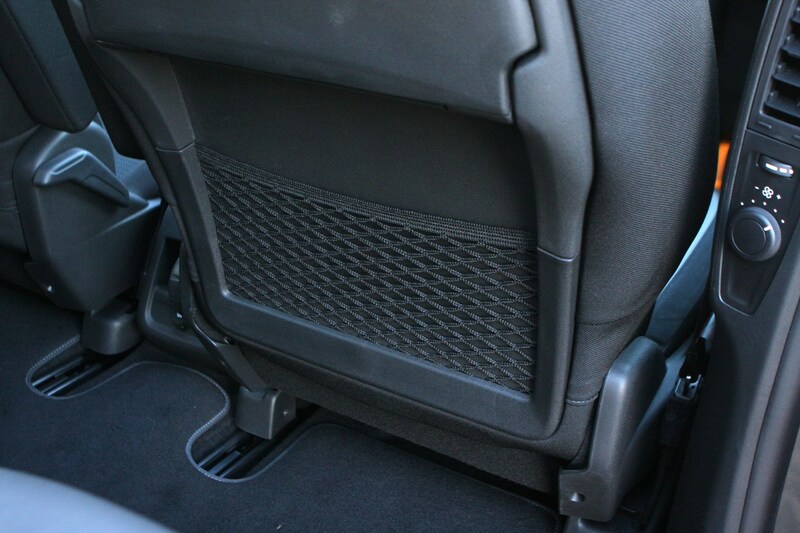 All five of the seats in the second and third rows are individual and fold flat into the floor enabling owners to make the most of the enormous load space. 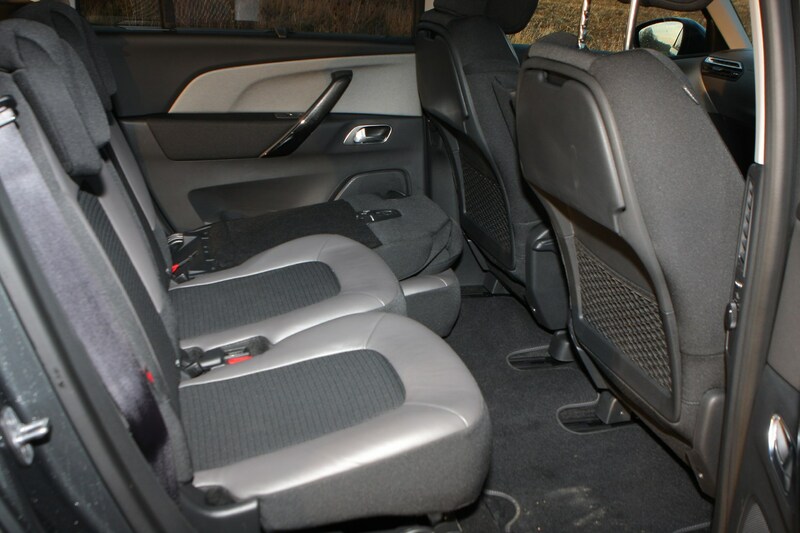 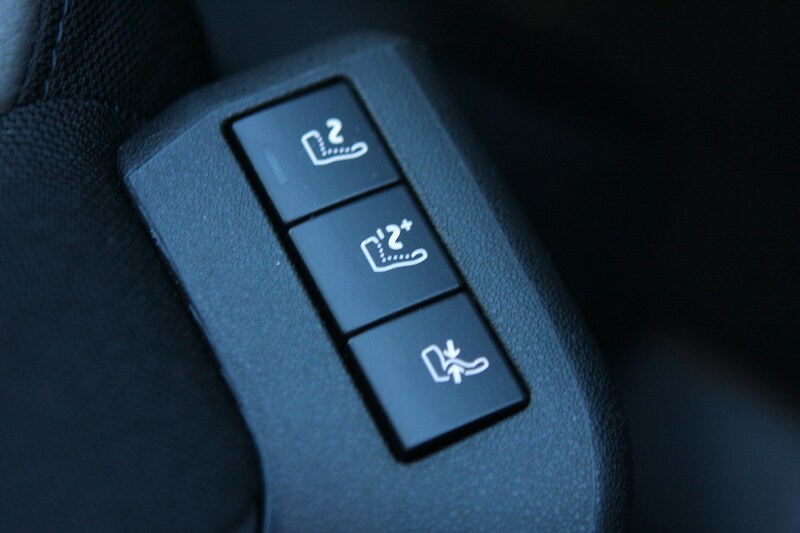 The three chairs in the middle row also recline and move fore and aft to adjust legroom as desired. 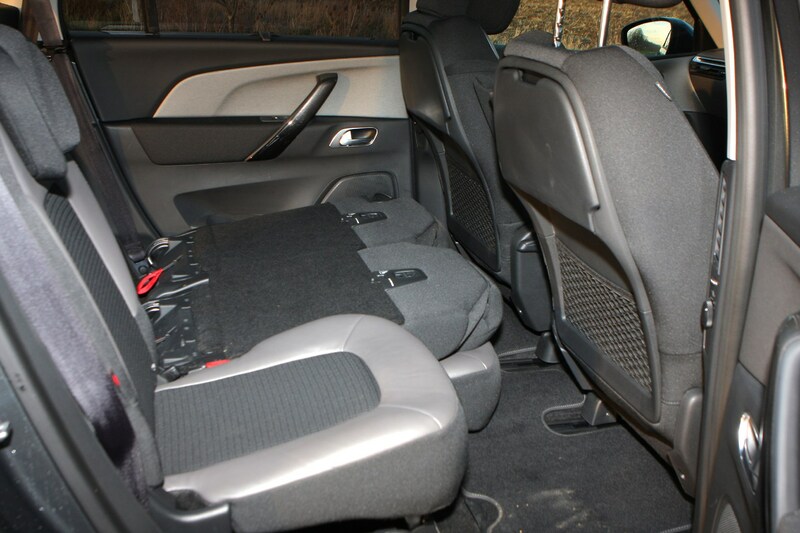 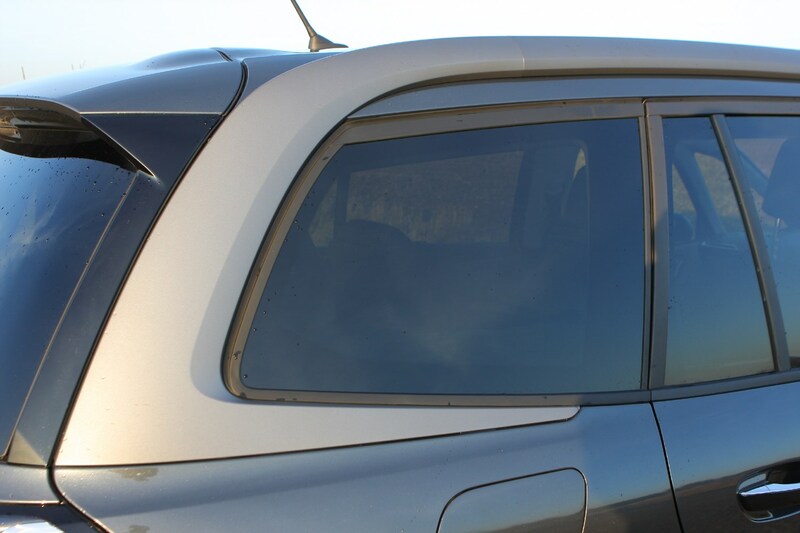 For additional convenience, the front passenger seat also folds forwards for when extra-long items need to be transported. 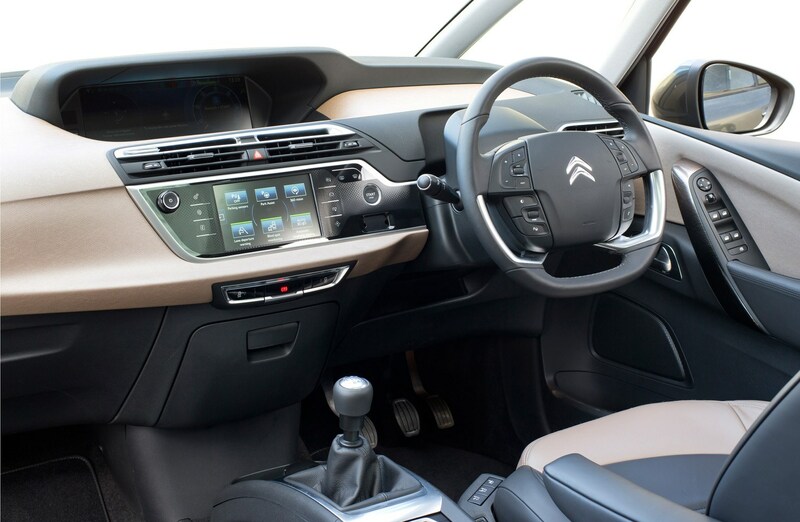 Front passengers enjoy a further sense of space with a panoramic windscreen that reaches to just in front of their heads and a simple dashboard design which employs two full-colour LCD screens. 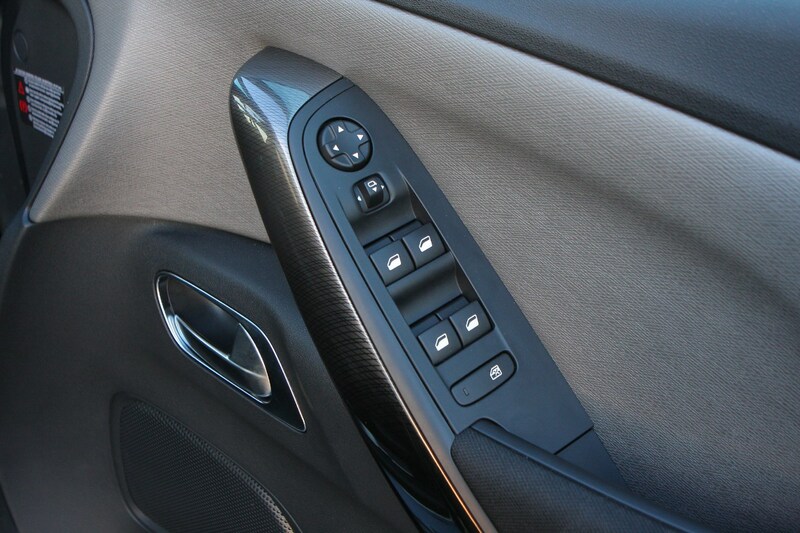 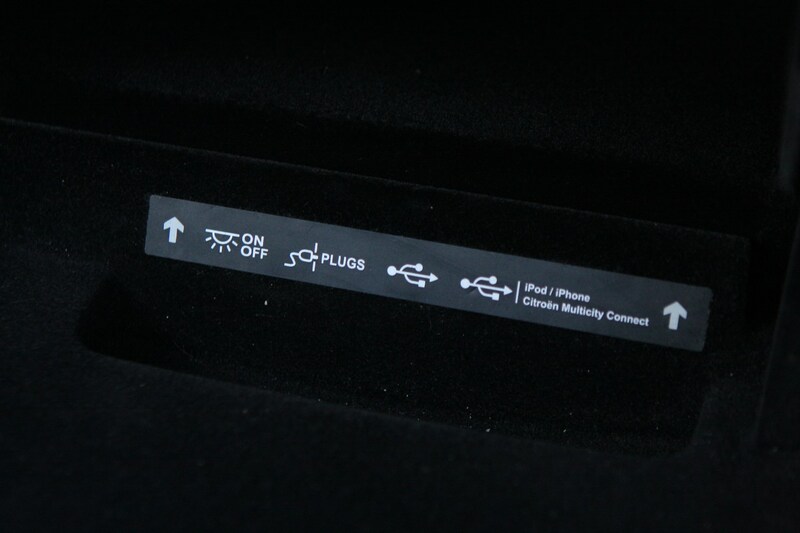 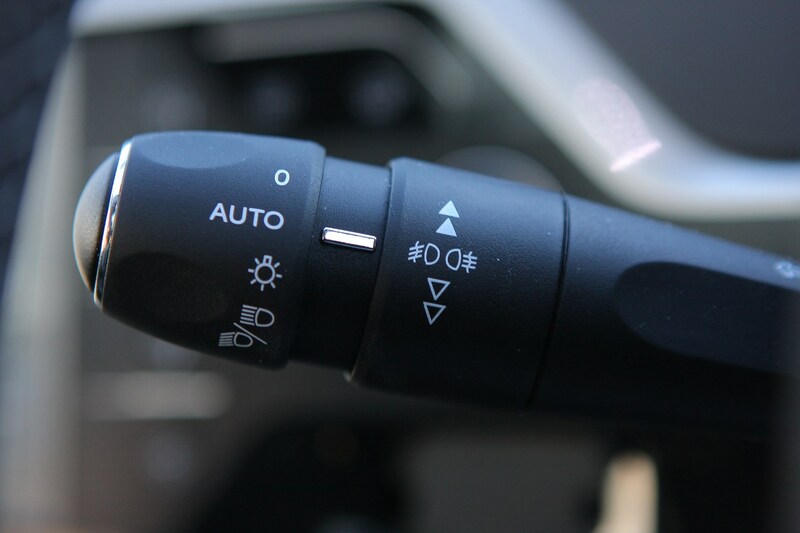 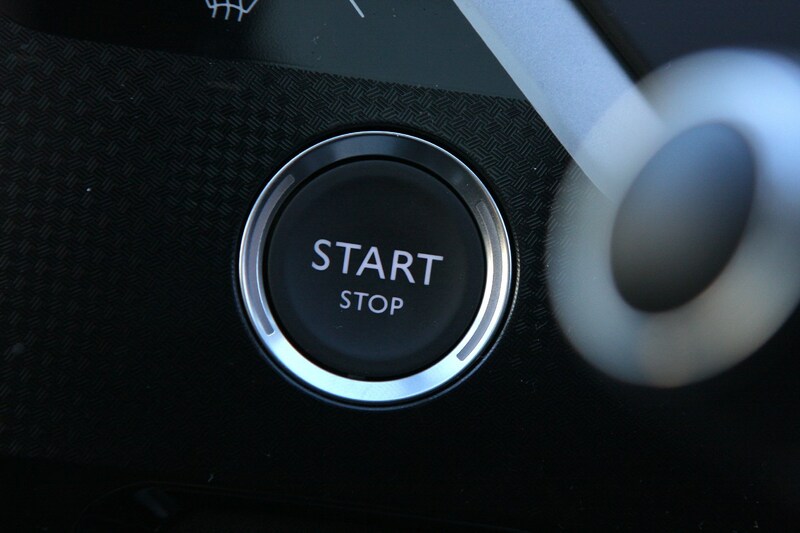 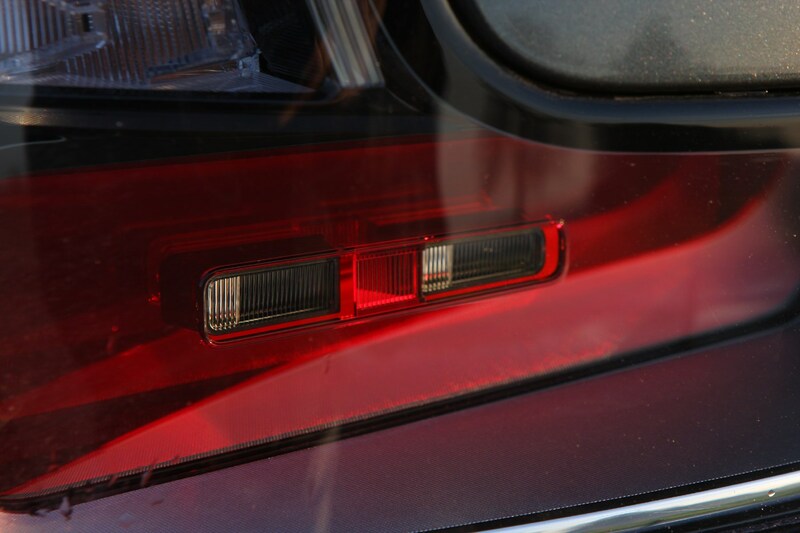 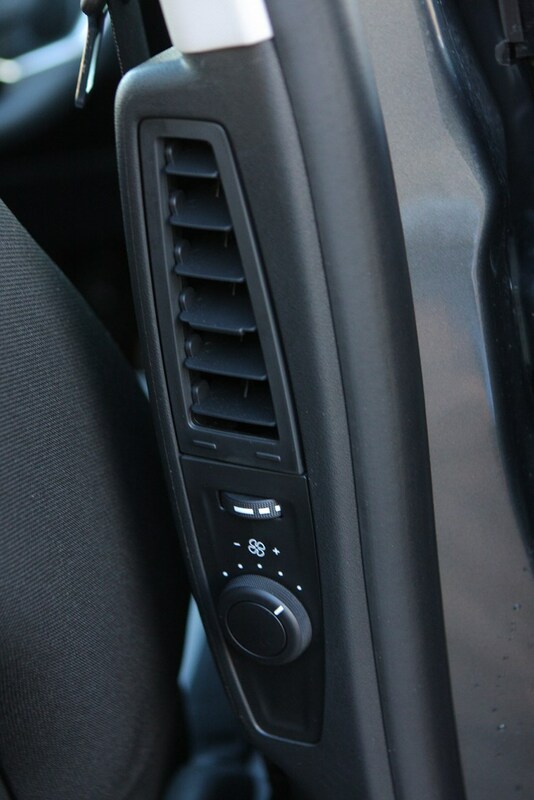 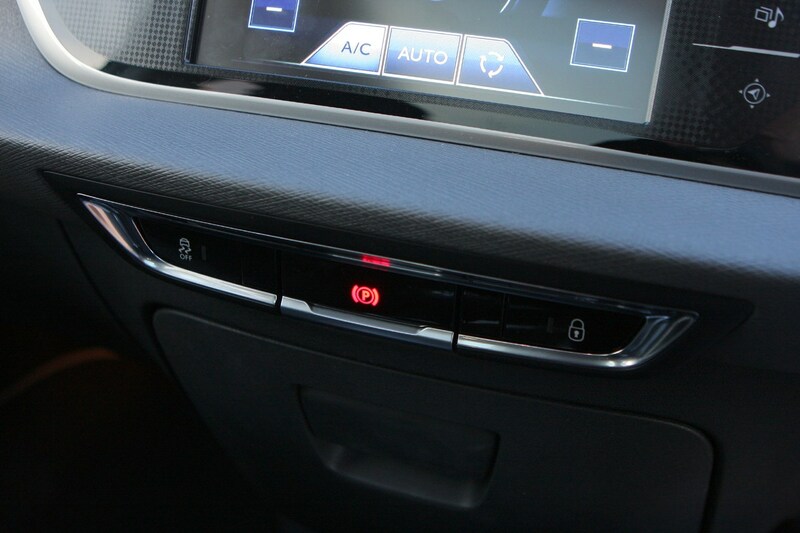 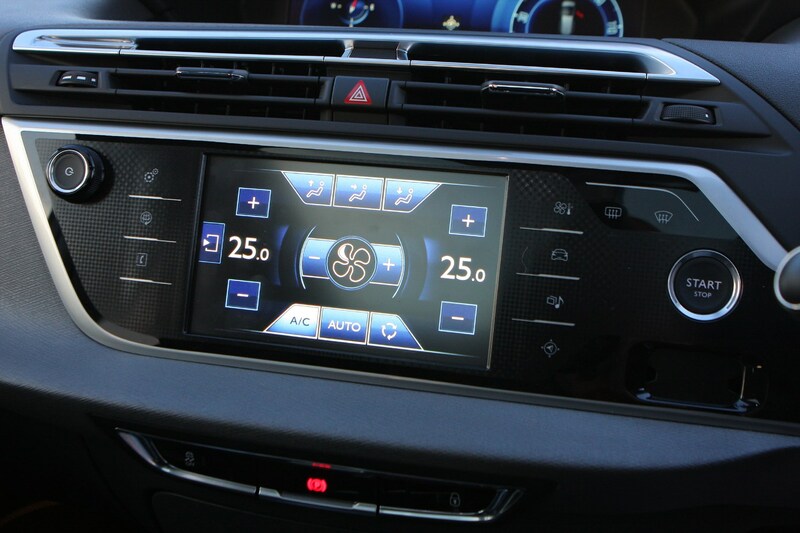 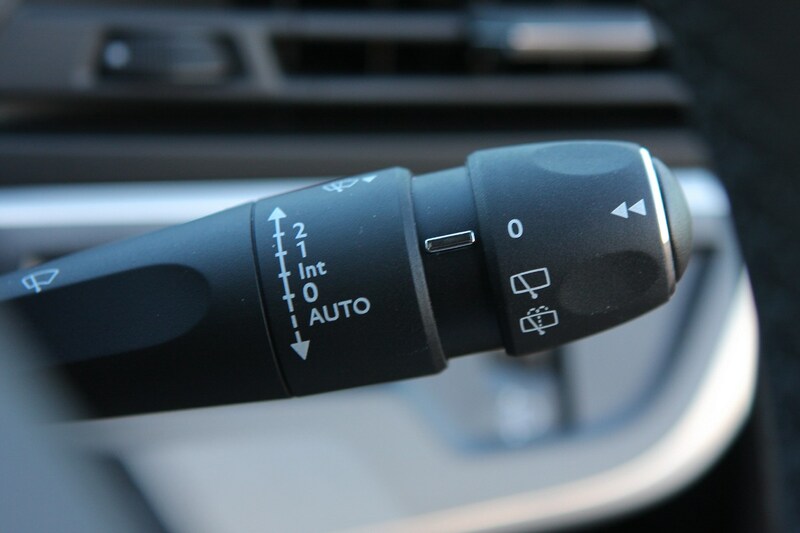 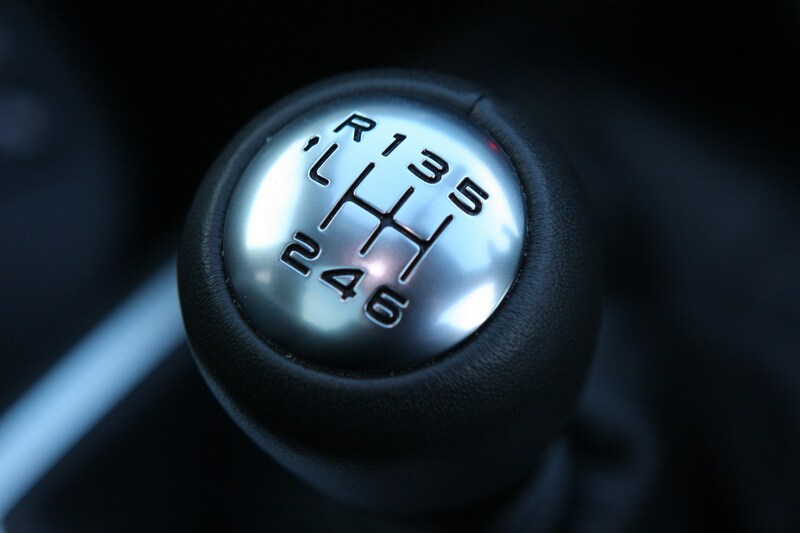 The upper one for speed and other car status information is 12 inches; the lower seven-inch unit is a touchscreen. 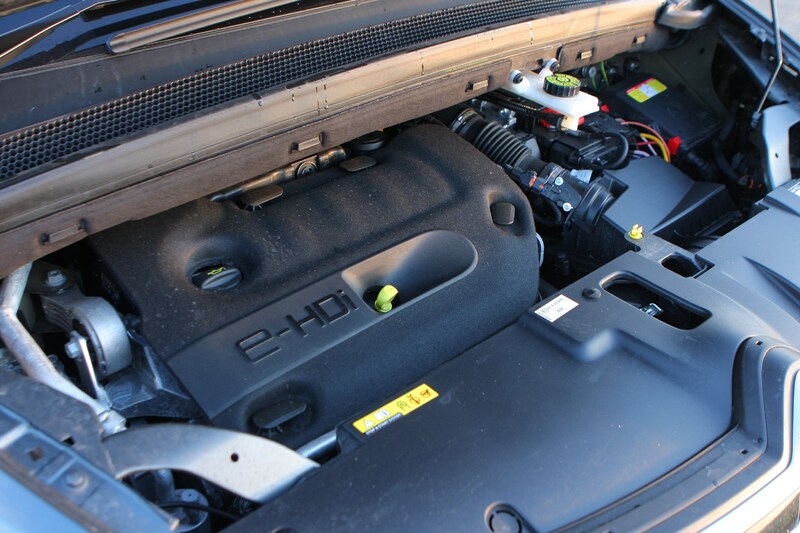 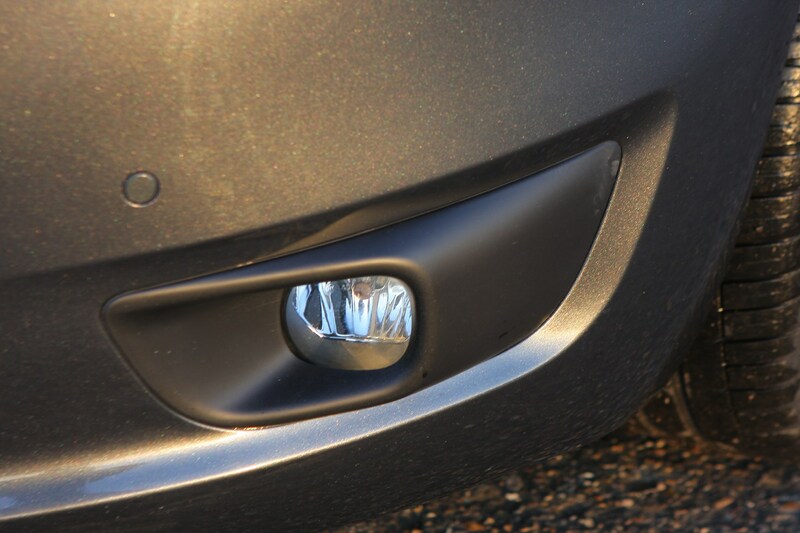 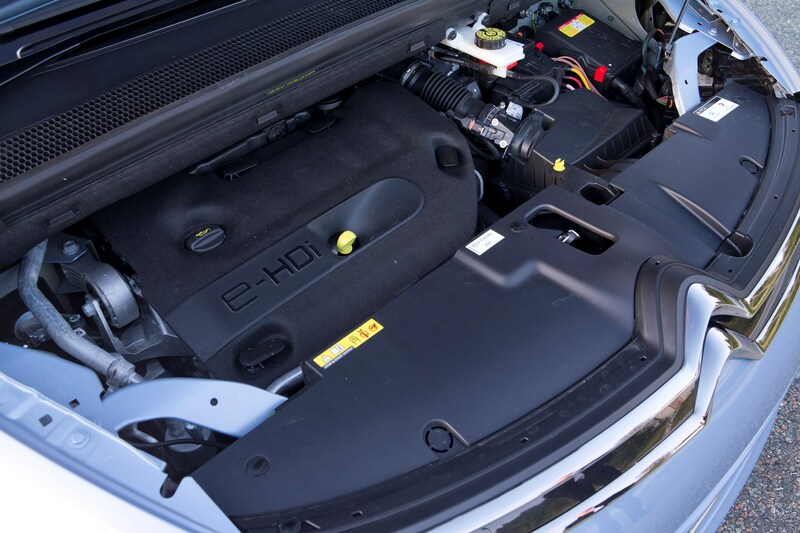 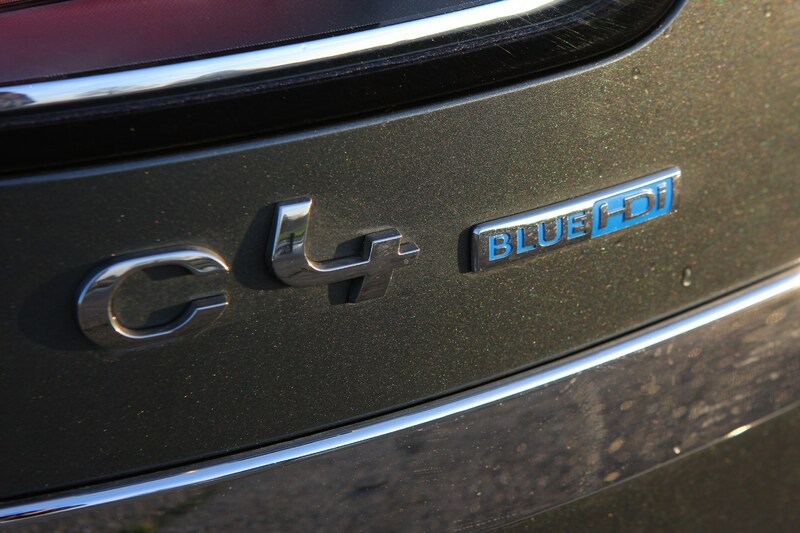 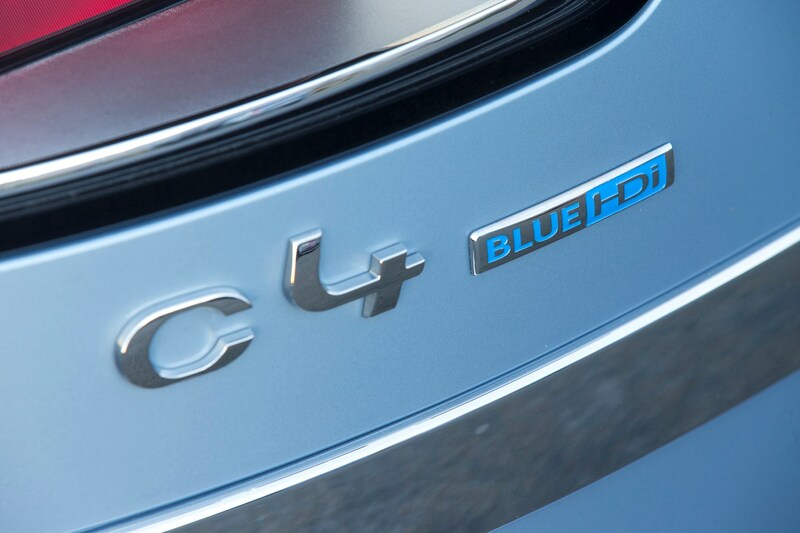 Under the steeply sloping bonnets are a range of petrol and diesel engines, most of which are familiar, but new to the line-up is the BlueHDi motor. 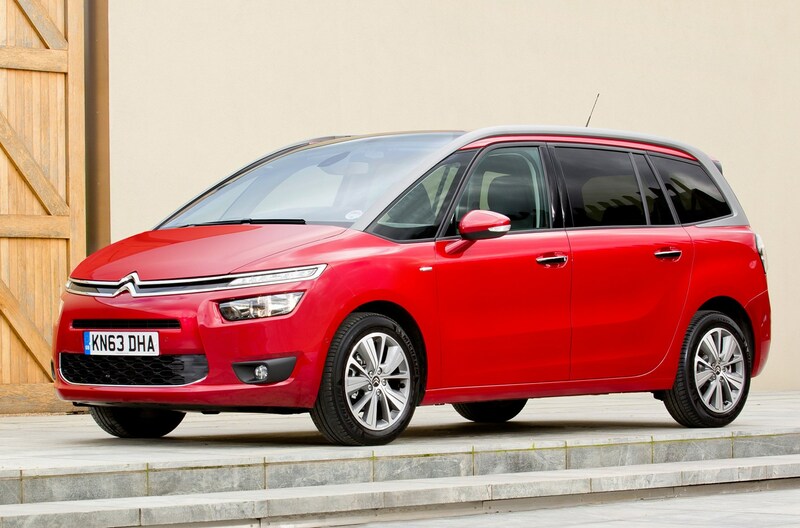 Citroen’s put the Grand C4 Picasso on a bit of a diet too, the new model being an impressive 110kg lighter than its predecessor. 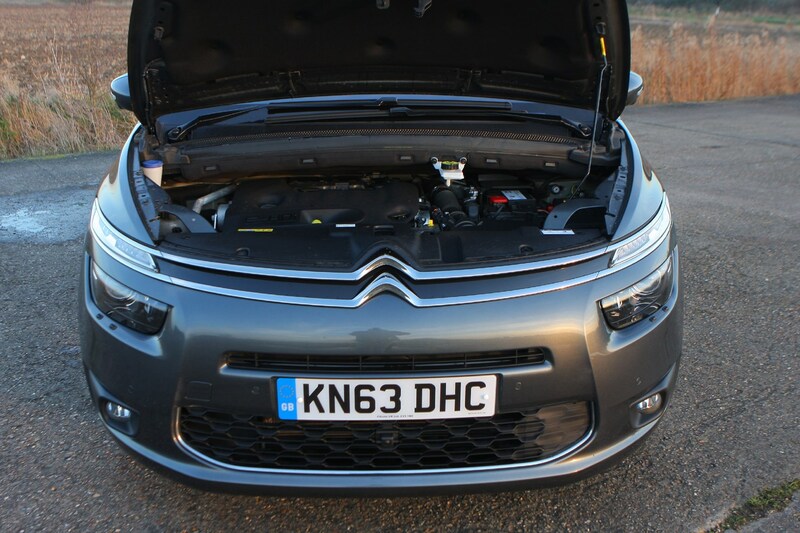 This, combined with superior aerodynamics, ensures model-for-model it’s less polluting too, averaging 30g/km less CO2 over the old model. 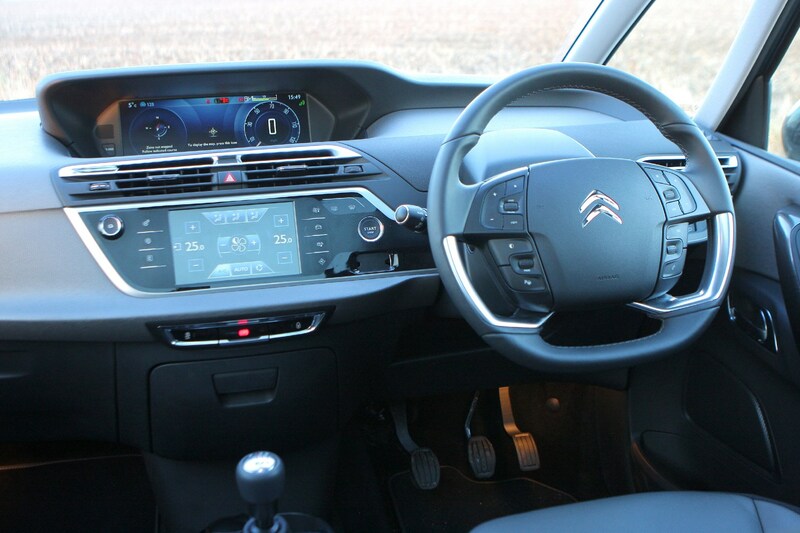 Most fuel-efficient in the range from launch is the 98g/km of CO2 emitting 1.6-litre e-HDi 90 Airdream version with a claimed 74.3mpg. 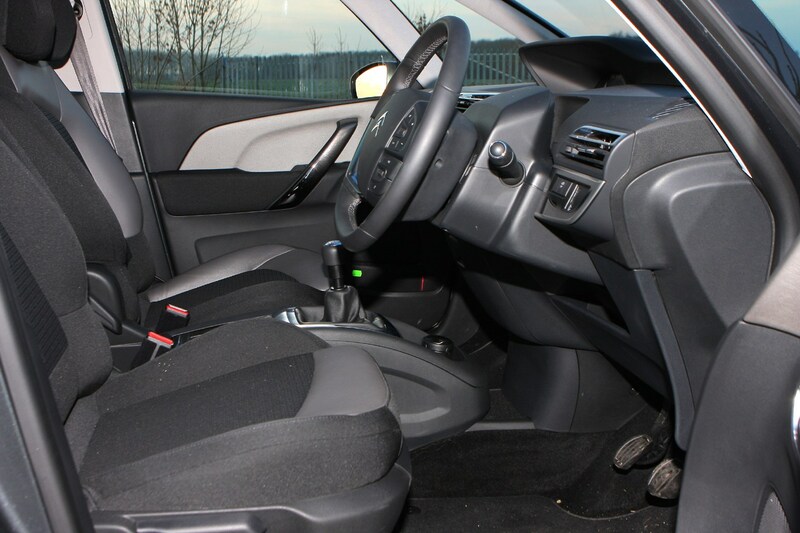 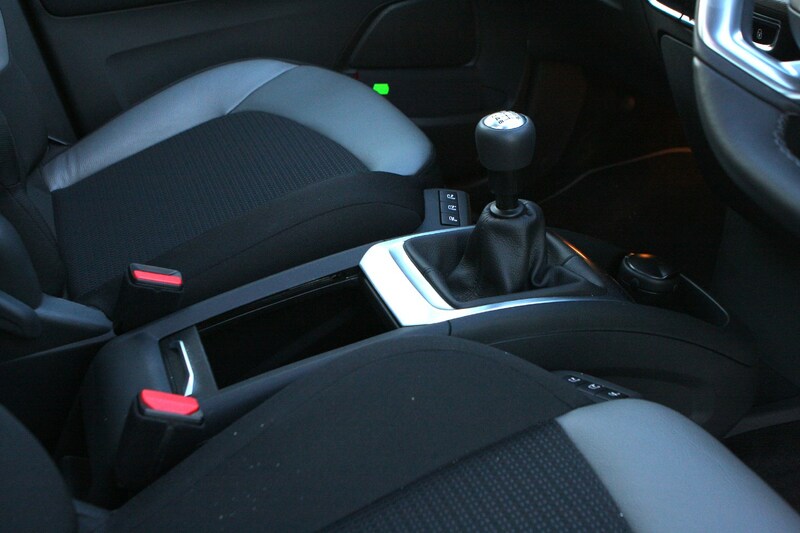 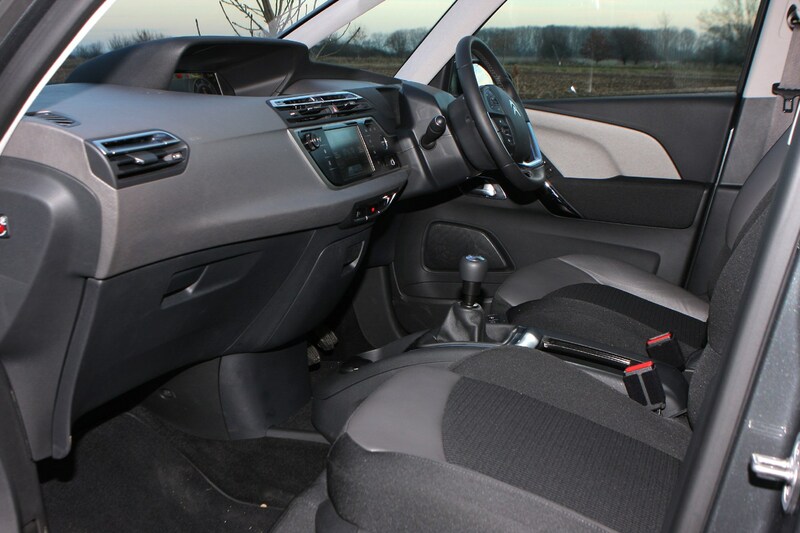 It’s a more enjoyable car to be inside than the previous model, it’s more settled on the road and comfort has improved. 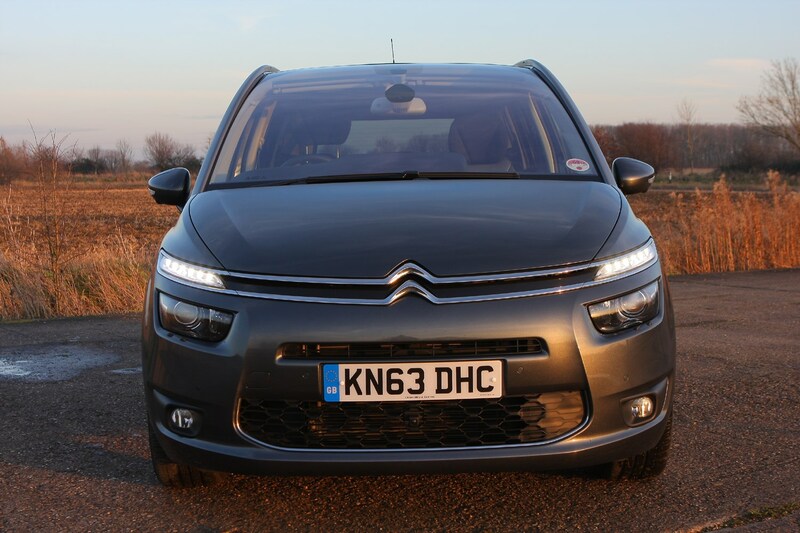 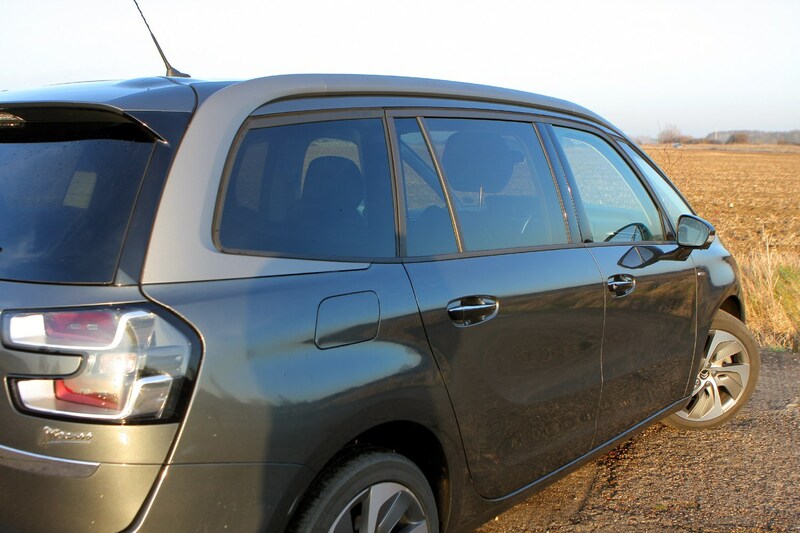 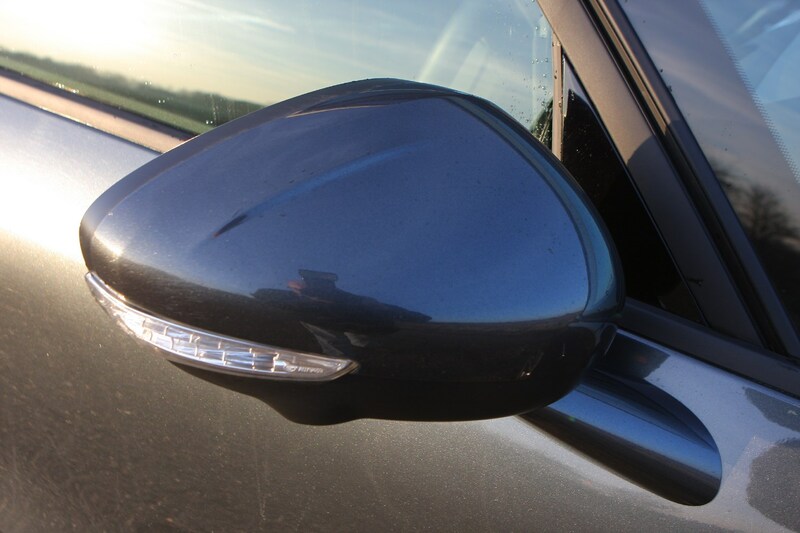 As a 7-seater, the Grand C4 Picasso is not quite at the pinnacle of quality, and it’s by no means the best equipped, but we can see why it would be a popular choice among consumers.